Thetford Forest, the largest manmade forest in the U.K. Straddling 2 counties and some 18 730 hectares of land. A patchwork of pine, heathland and broadleaves. This leafy enclave was the setting for The Monster Ambit, a 24 hour test of will, of endurance and of stamina. 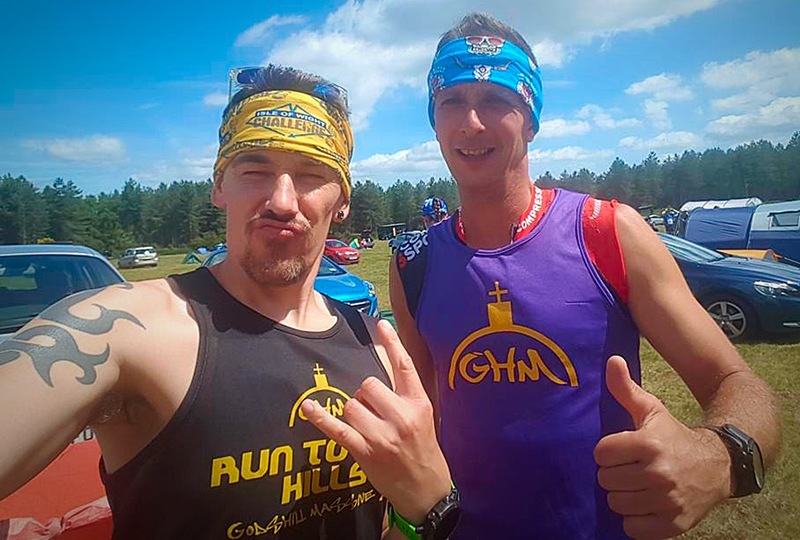 Dan Williams and Ian Russell our 2 Duracell Distance Dynamos took on this huge feat in an attempt to surpass their existing distance pbs. 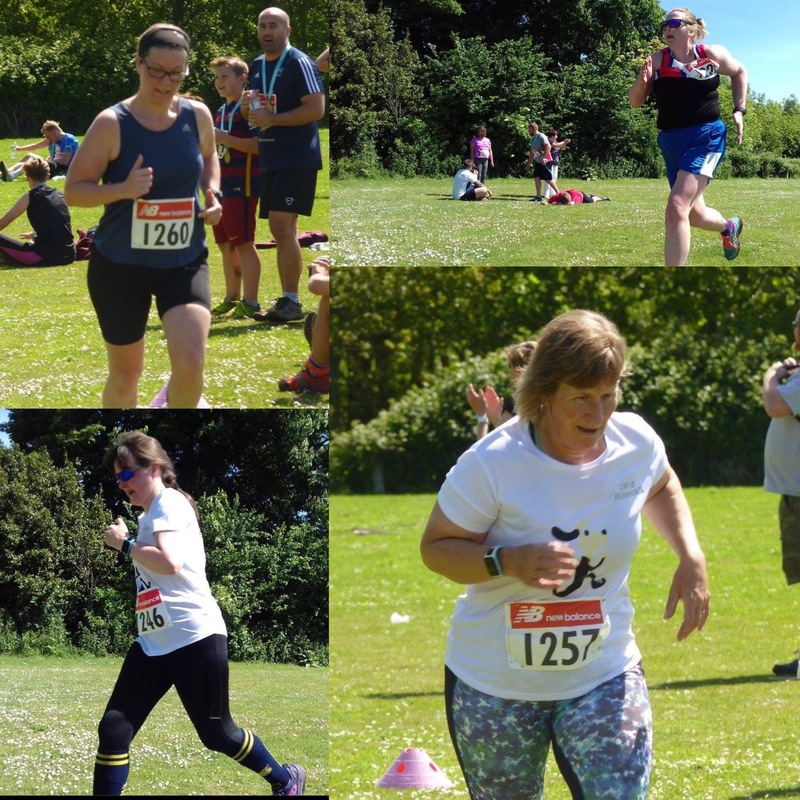 It may not have felt quite so hot here on our little diamond isle last weekend, but add in the sort of airless humidity that a forest creates on a sunny day, and the air temperature in the forest was around 27c…… race started at noon…. ouch. 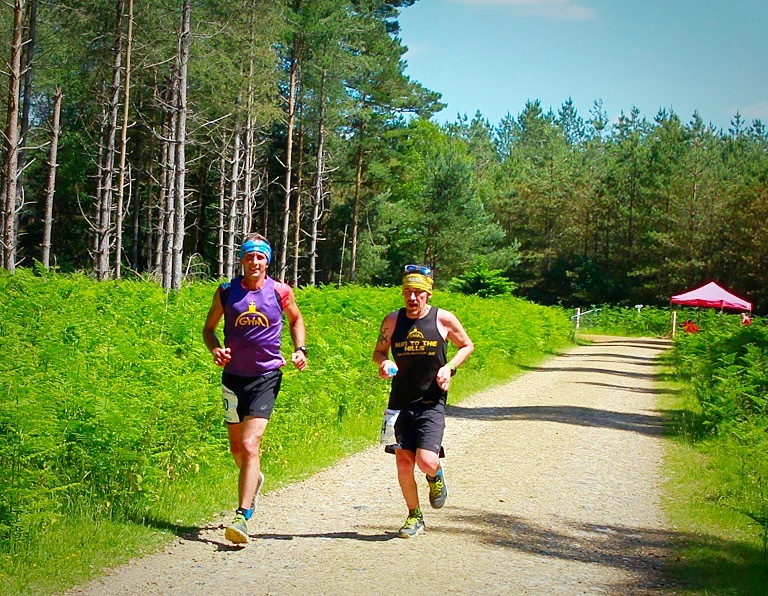 Despite this, our dashing duo set out on the 10k looped course on the challenge of a lifetime. 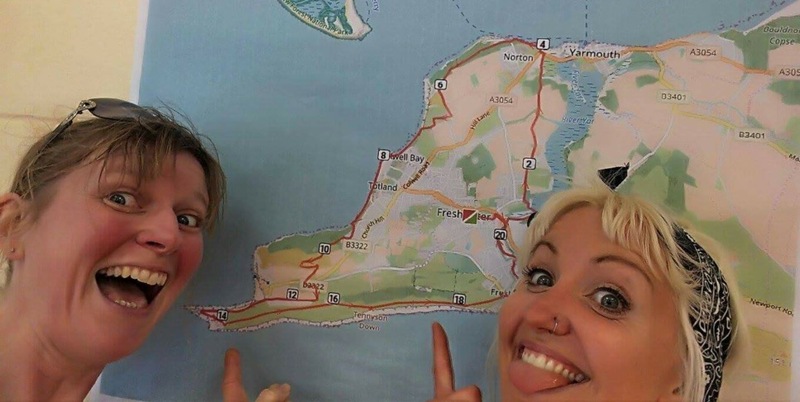 Taking the course by the scruff of the neck and completing their first marathon distances with ease. “It was so hot and we went off too quick. After 31miles the terrain started to take it’s toll. 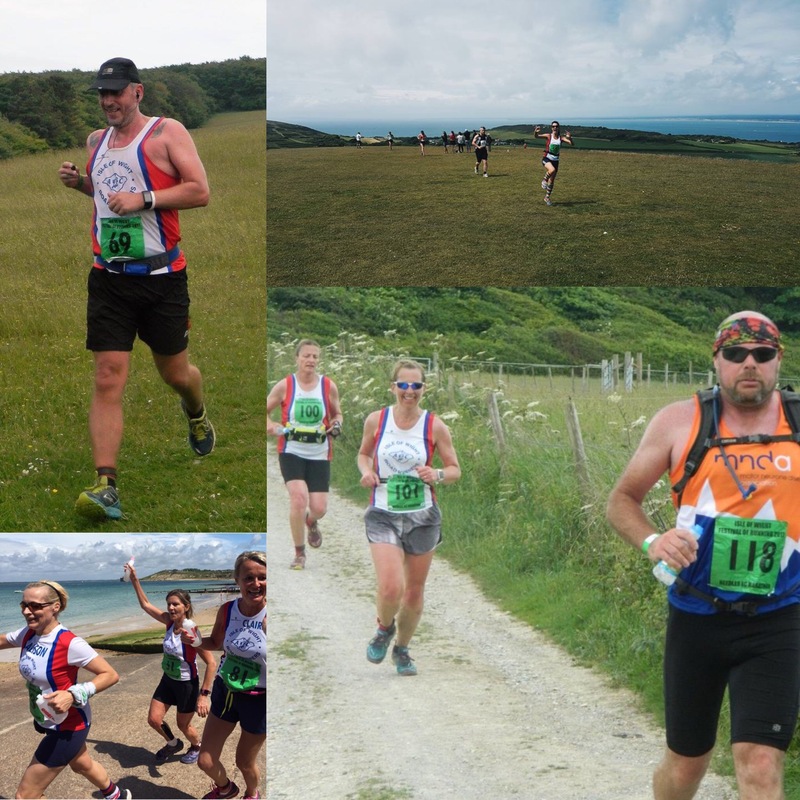 It was flat but stones paths and tree roots were a pain.The heat killed me” said Ian, who only completed his epic 66 mile Isle of Wight Challenge a few weeks previously. Onward they went, willing the temperatures to drop, but only down to 17c overnight and not a breathe of air between the trees. The heat had done its damage and the pair struggled through the night. Dan suffered tummy cramps and dizziness, even taking to laying on the side on the course every so often. 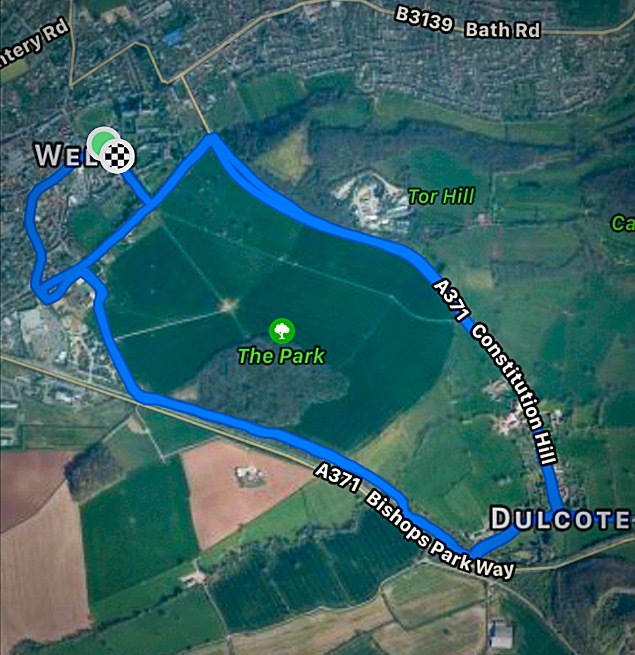 Ian ran/walked his night laps before he finally conceded and had a quick sleep in the car, but it wasn’t long before the sun came came up and our plucky pair, suffering sore feet, chaffing and exhaustion continued on putting more miles behind them. At 6.30am Dan had 3 more to go to complete his century. Ian made it to a whooping 15 laps by 9am and decided to call it a day. He was more than happy with his efforts. 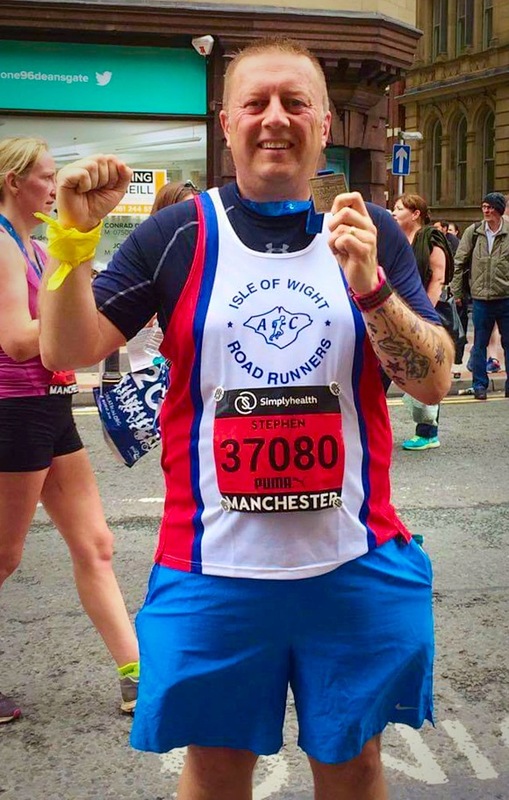 After all he just exceeded his distance pb so that it now stands at a whopping 75 miles. Dan battled on moving ever forward, more and more exhausted. At last his final lap over the hard packed flint track commenced and he broke into a smile as he knew his goal was still within his grasp, but he had to keep moving as time was tight. 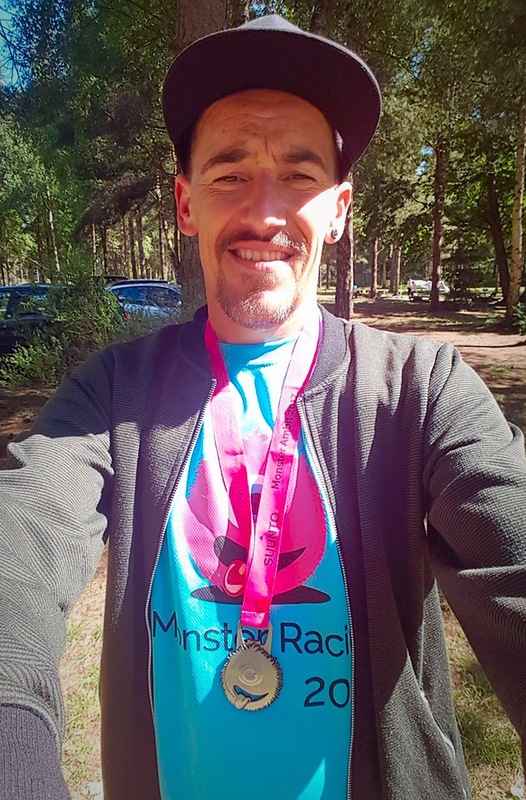 But he held on and completed the full 17 laps of the course, securing himself a fantastic 3rd place overall and dipped just under his target time and crossed the line in 23 hours and 57 minutes. A phenomenal achievement from both of these mileage moguls. And Yes!! Of course they are already planning their next amazing journey. After the searing temperatures of day 1, runners were relieved to wake upto a slightly cooler day with a little more cloud cover. 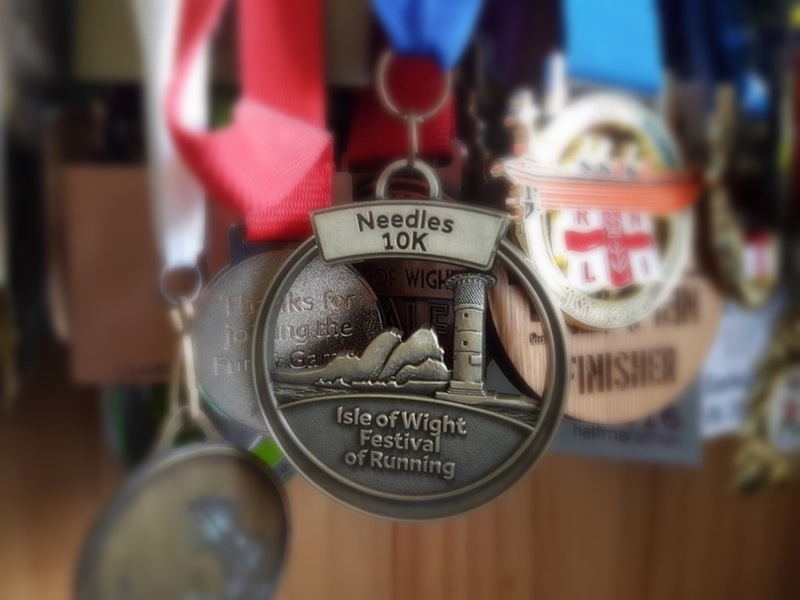 Famously tough, the Needles half marathon course is just about as multi terrain as you can get. 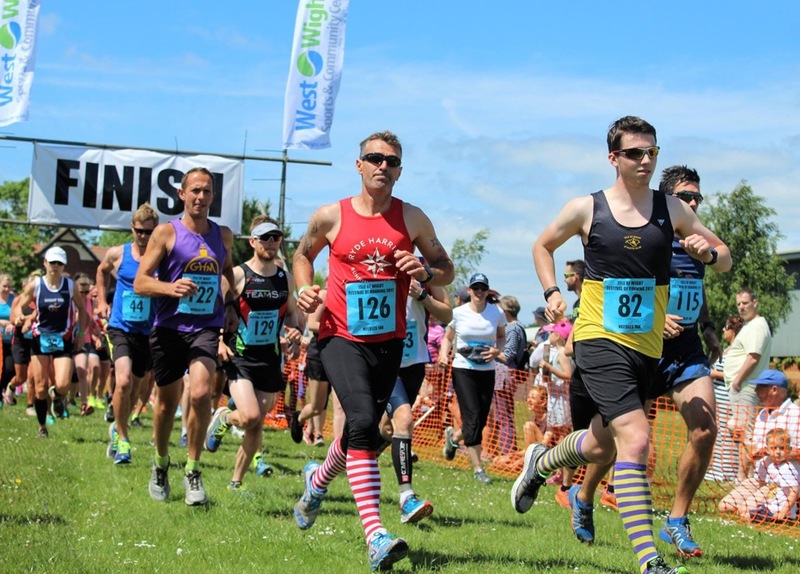 Tarmac, footpath, grass and sand all feature as this course winds its way around the 13.1 miles from the West Wight Sports Centre and back again. Nerves were coming to a crescendo as the 47 roadrunners lined up to begin this tough race. Both distances lined up together, to start simultaneously. 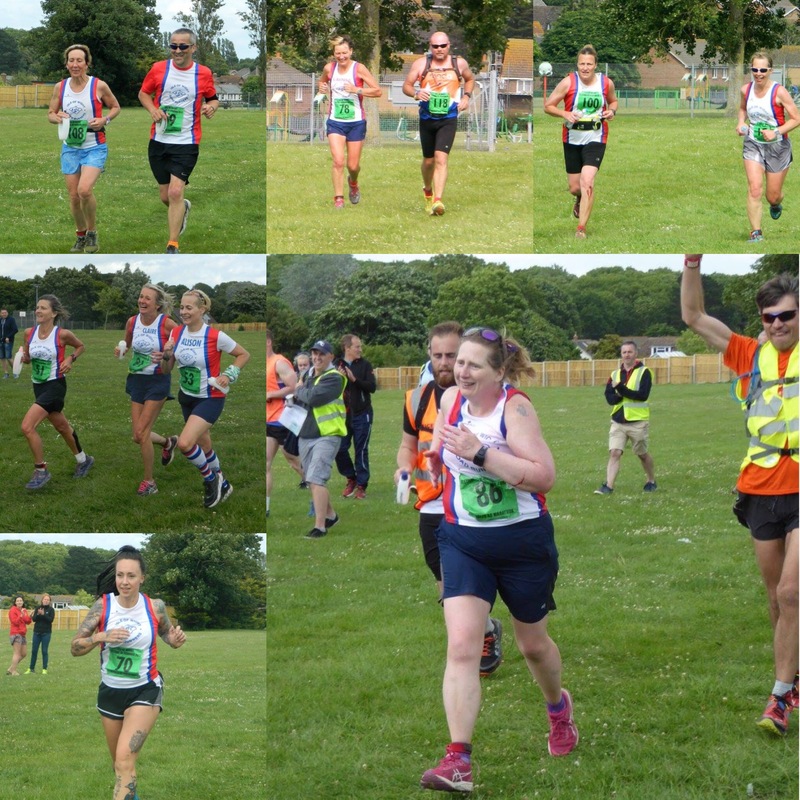 For some new members, it was their first outing in their club colours, for others it was a battle against the clock to beat their performance in previous years. For others though, it was the fear of the unknown. The marathon is a new addition for this year. 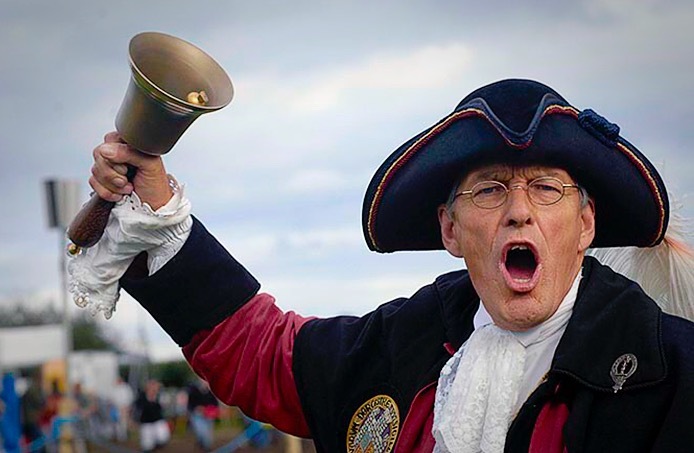 Course designer (our illustrious chairman Pat Harris) had promised a challenge of hills, hills and more hills, but being a new race, none of our resolute entrants could possibly know how they would fair along the way. 11am came and they were off… out into the sunshine and on the hills. The marathoners working hard to not get swept off too quickly by the half course runners. 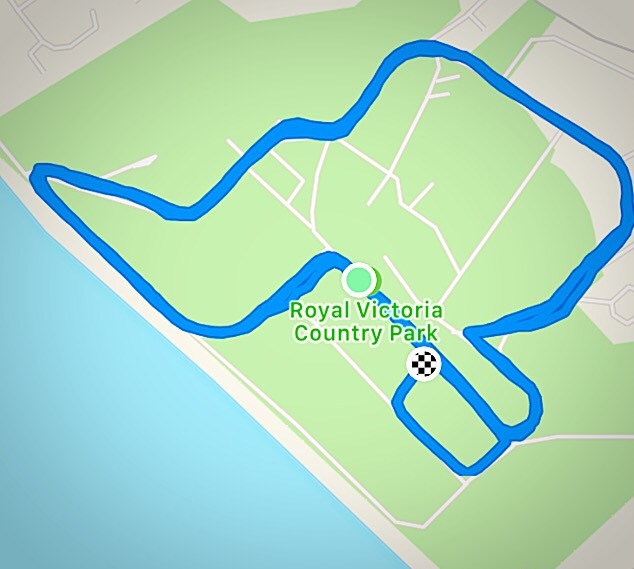 The course took them off toward Norton and then along the beach at Totland before beginning the series of climbs at The Needles, Headon Warren and Tennyson Down. With some 362m of elevation between them it is really tough going. 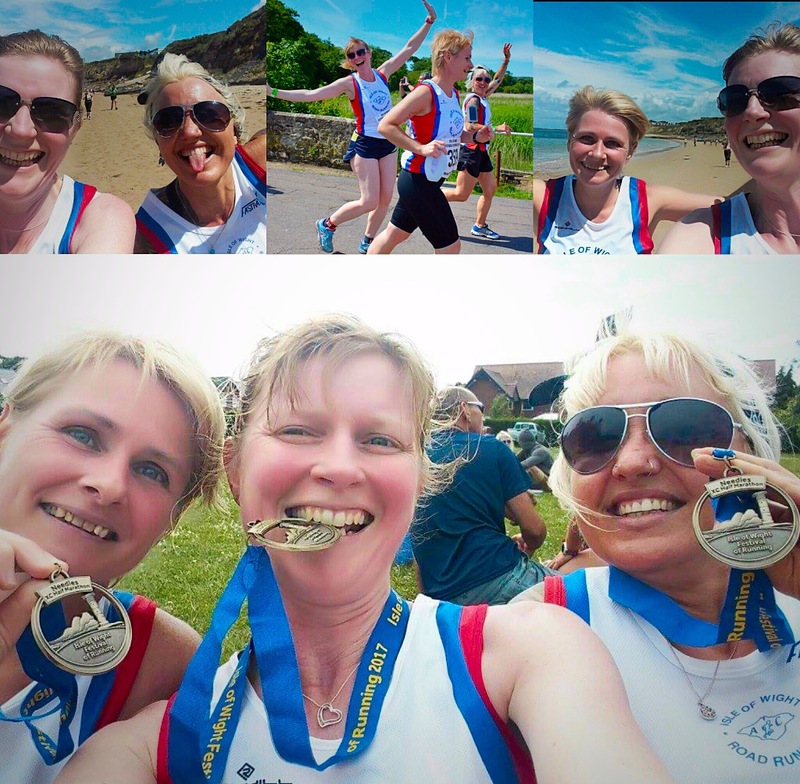 “Claire (Harvey), Julie (Rasmussen) and I ran the half together and thoroughly enjoyed it. We all had our moments when we were strong and moments when we struggled, but we pulled each other round to cross the finish line together and all achieved course PB’s. That’s what this club is all about – great teamwork”. In the Half distance, Tom Forster was the leader of the roadrunner pack, coming home in a very tidy 1.34.19 to take 9th. Dean Pike was next over the line, closely followed by Pete Sexton. 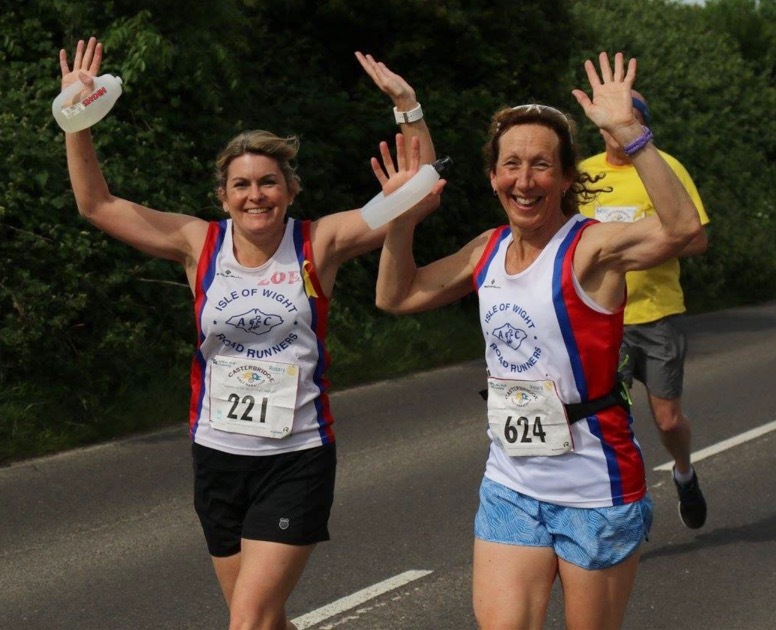 Jenny Dewing was the 1st one of the ladies team home in a cracking 2.03.26 closely followed by Katherine King and Lou Dover. Our 3 club debutants ran themselves proud too. 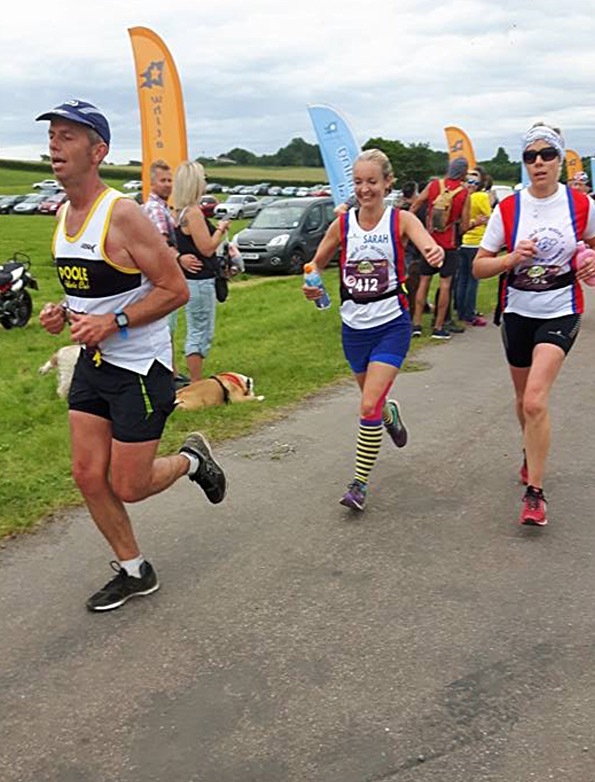 Emma Ford, Laura Holme and Sarah Delaney all wore their vests with pride and powered over the line in under 2.5 hours, having a blast along the way. 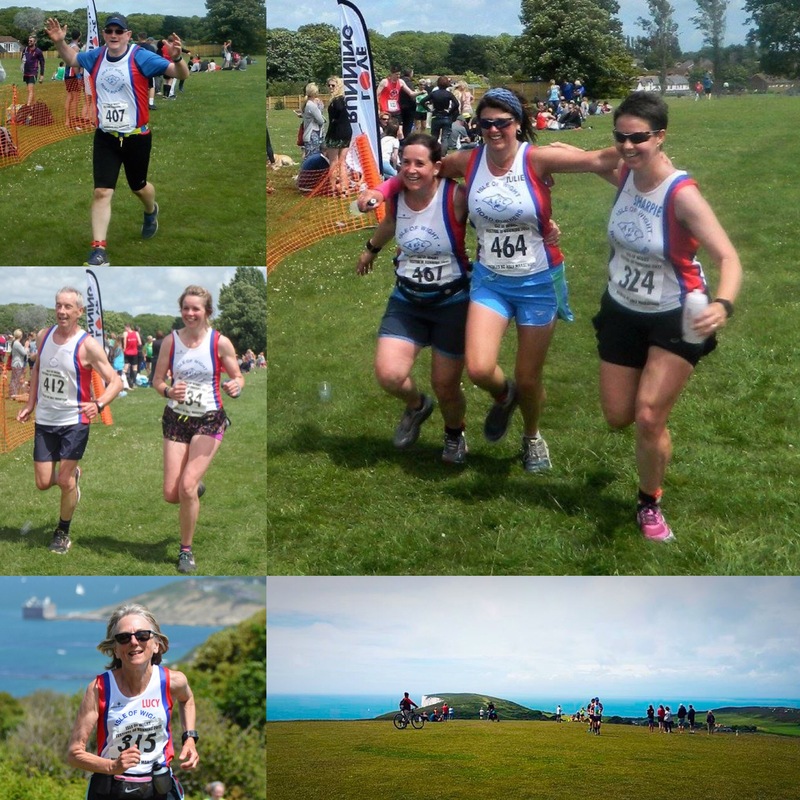 The marathoners peeled off at Freshwater Bay, to embark on their 2nd half of the journey. They continued onward toward Mottistone, Brighstone Forest and back toward Chessell. 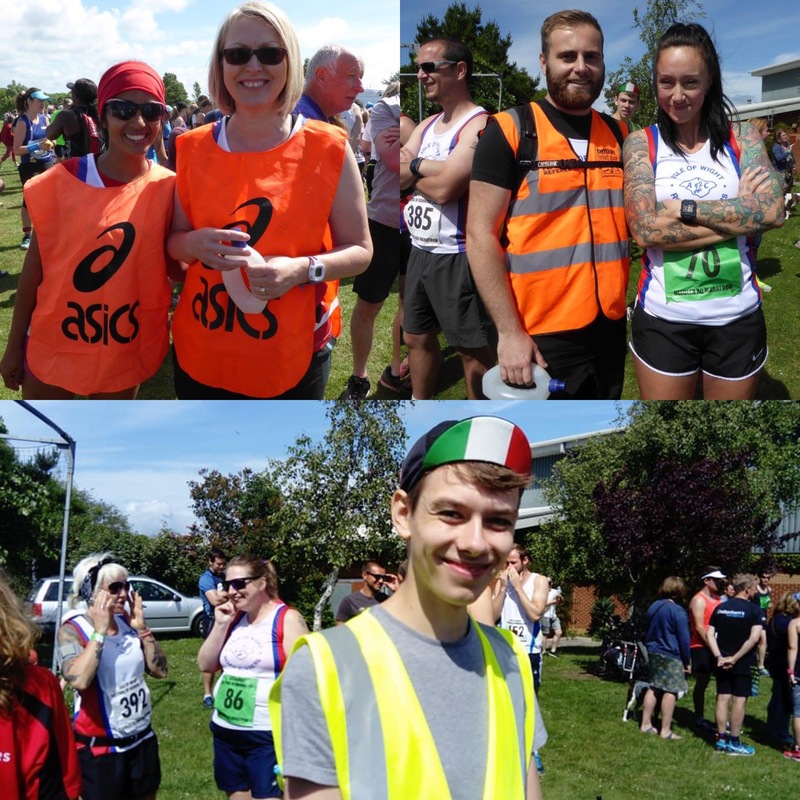 The sun started to reappear making our runners uncomfortable despite the welcome breeze. The course was as billed. 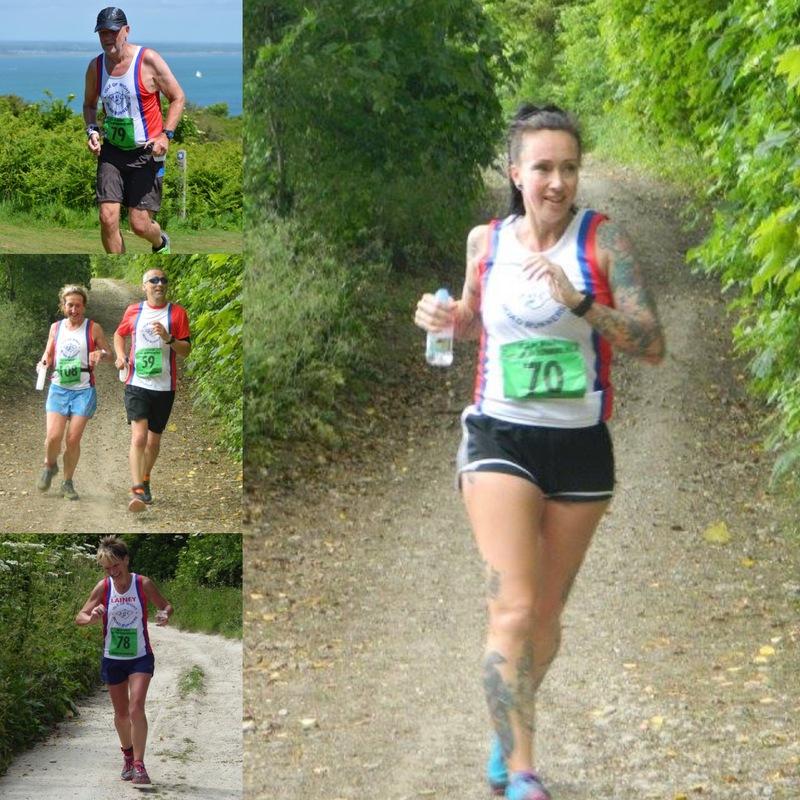 Some 773m of elevation faced the runners. 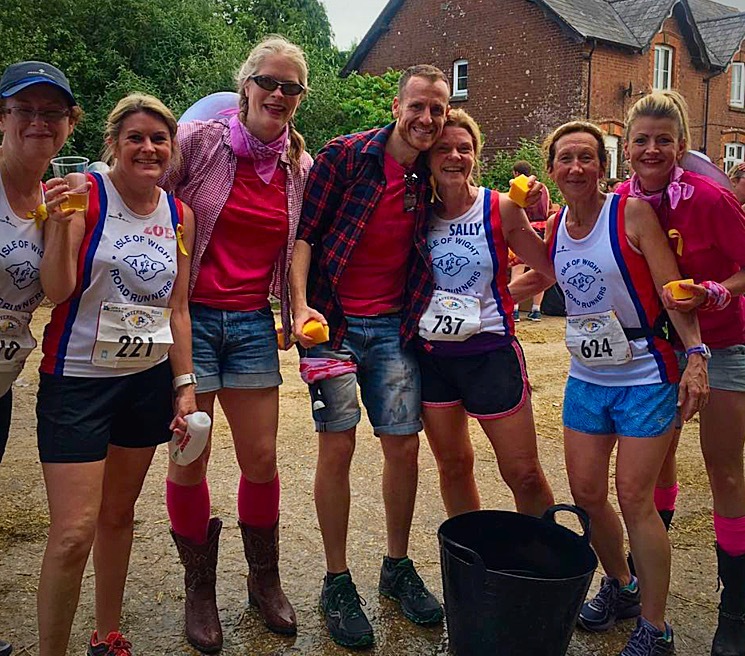 Hill upon hill upon hill piled on the pressure but one by one they made their way around the course and to a glass of cider at the “water station” at mile 21, which was a welcome pick-me-up to see them through the last stretch and over the finish line. Andy MacArthur absolutely stormed it after being plagued by Achilles injury. He came home in a magnificent 2nd place. Tim Cordery also came home in under 4 hours and a fantastic 5th place. 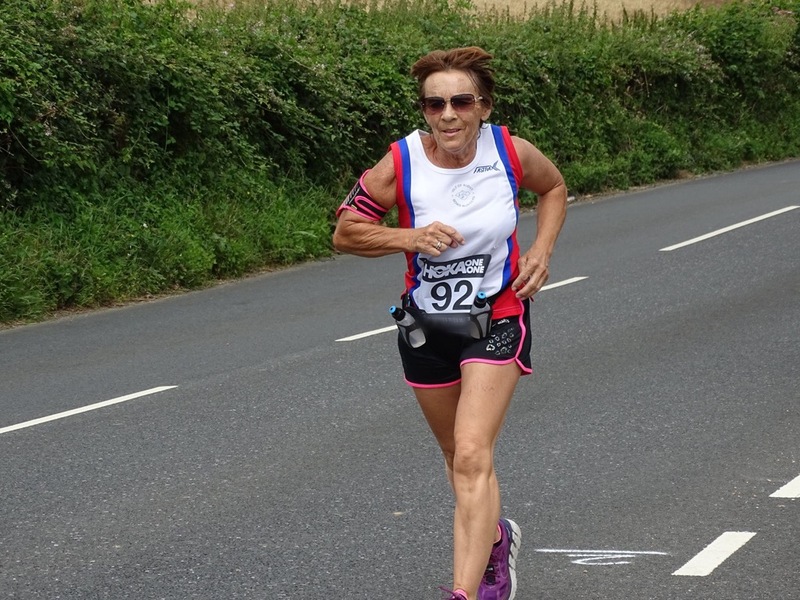 Judy McCabe continued her fantastic form coming home in 12th overall and 1st lady. 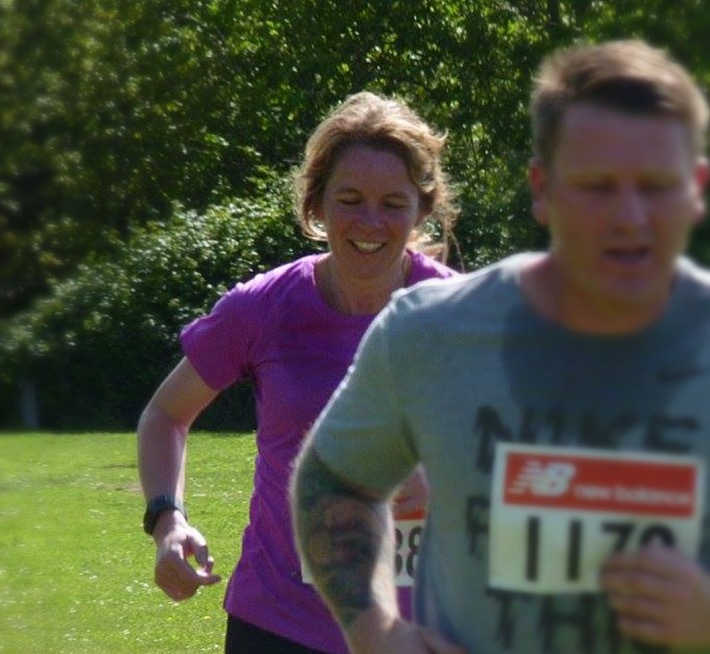 She ran with her training buddy Steve Bennett, who secured the 4th spot in his age category. 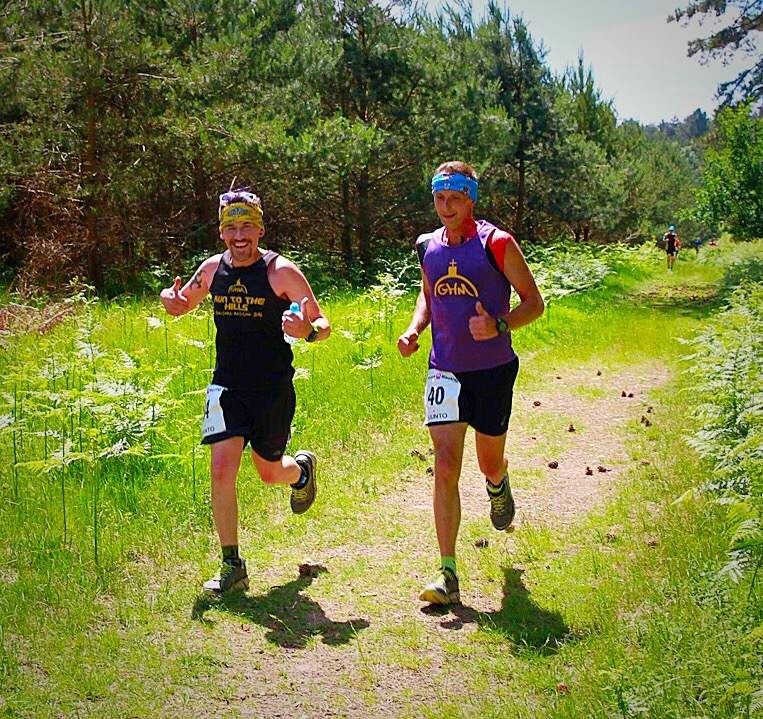 Hayley Baxter celebrated the last day of her thirties by coming a sensational 2nd lady overall. 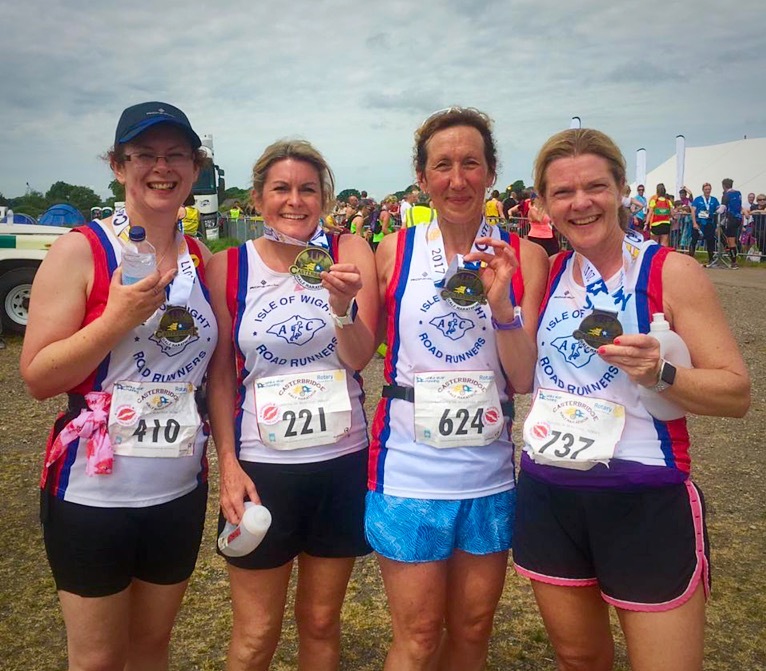 The ladies V45 category was dominated by the IWRR ladies. Elaine Harris, Julie Ray and Karen Phillips swept the board. Karen Phillips took a really nasty tumble in the 3rd mile, but she picked herself up and continued for a further 23 and a bit miles to complete the job. 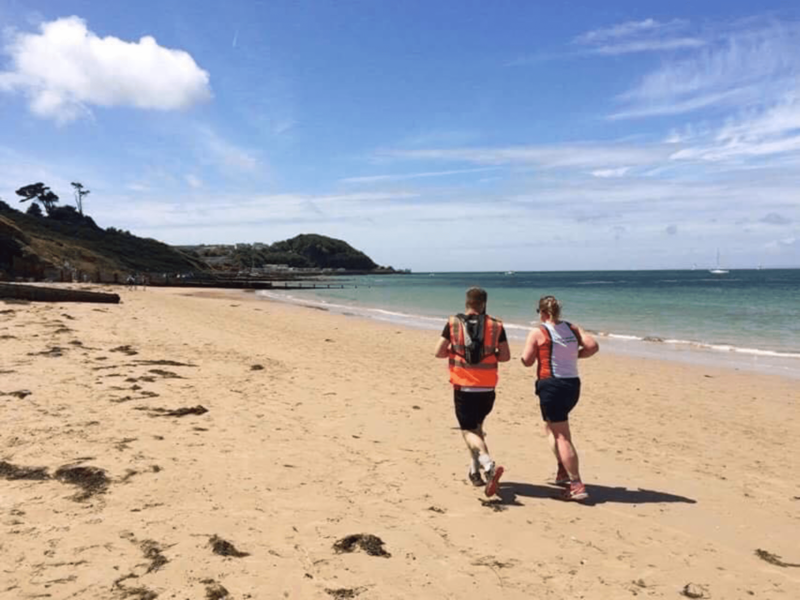 Said Jane Andrew on completing her 13th outing over the distance. Across a the line the finishers trickled, until the tenacious Coral Leach made her way across the final field and into a roaring welcoming committee in the shape of her family, her puppy and of course some noisy roadrunners. 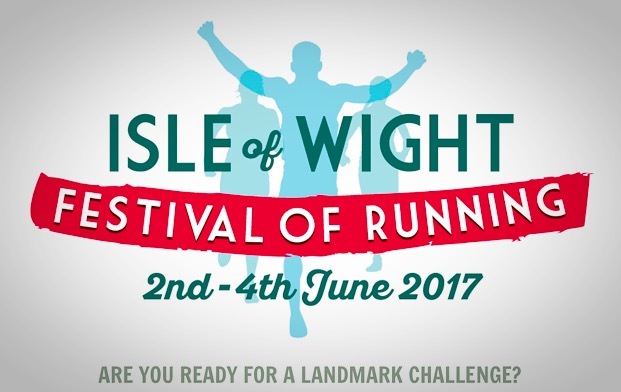 And with that the inaugural Isle of Wight Festival of Running was over. 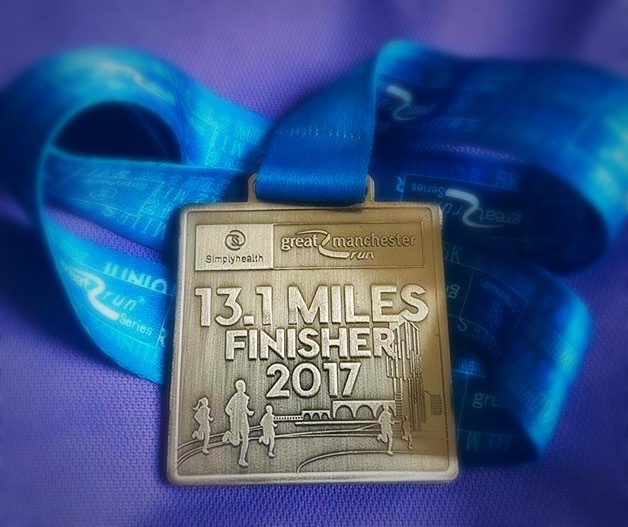 Course records set, personal goals pushed and surpassed. Well done Roadrunners for making it a success. 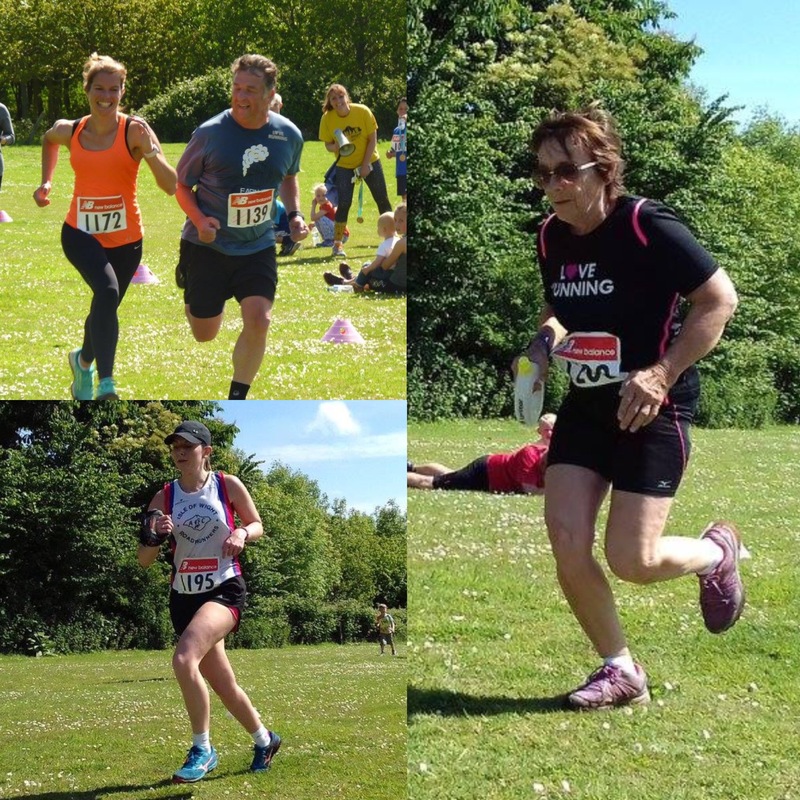 From the competitors, to the marshalls, the water (and cider!) stewards and the back markers. A lot of time and thought goes into putting races on for the first time, so well done to Pat and his race committee for all their hard work. Fun filled and family oriented, this weekend had something for everyone. 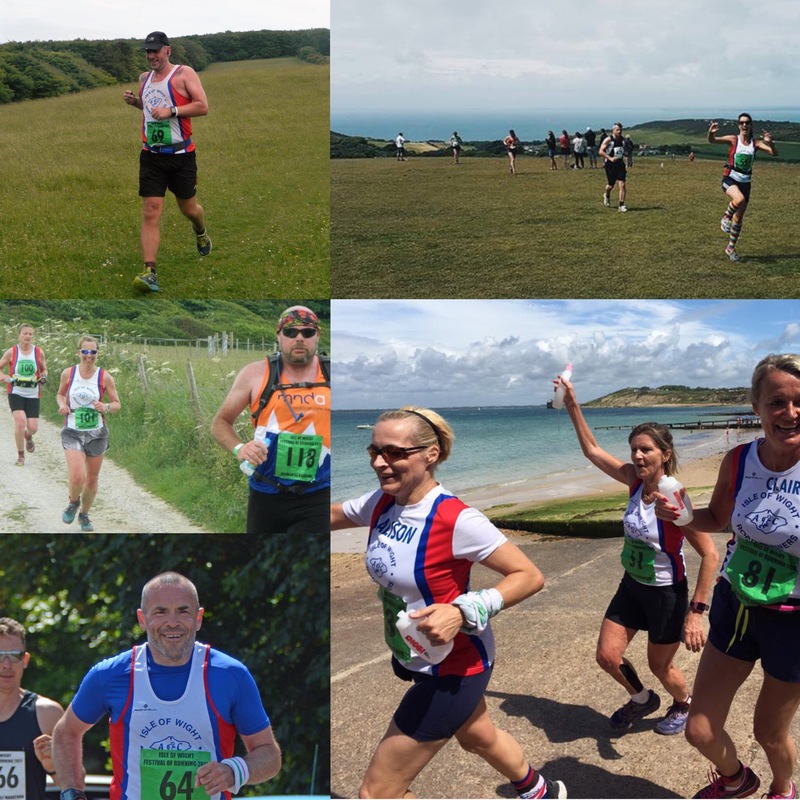 Although the Needles Half Marathon itself has been operating for many years, for 2017 the event had been expanded to cover a whole weekend. 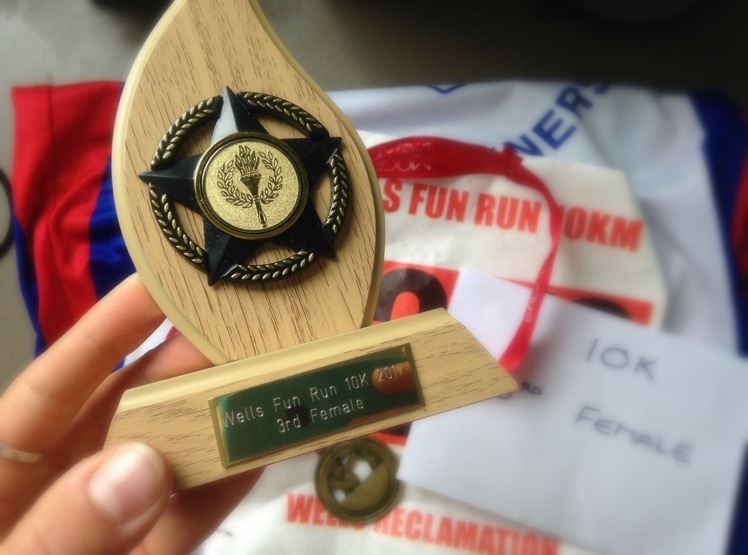 From junior fun runs to a full on (and this is fullon, full on!) marathon there was a distance to suit everyone. 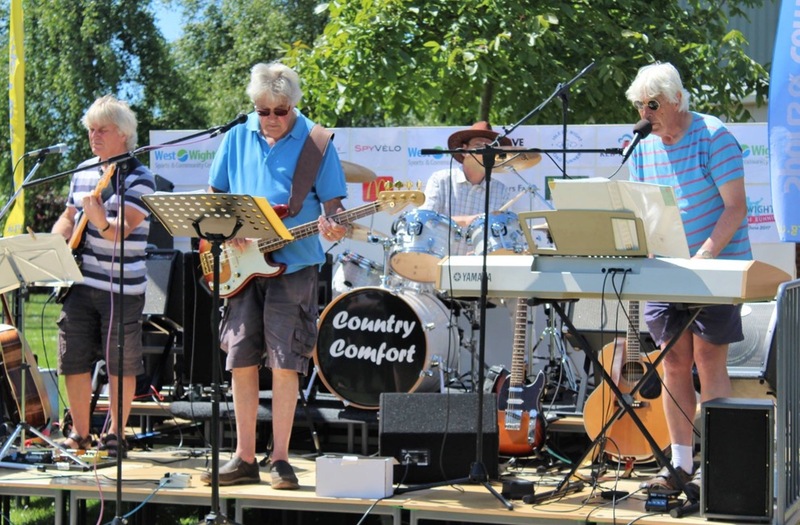 Entertainment in the form of live music, a climbing wall, couch to 5k lessons (given by our very own Julie Dixon) and even an outdoor screening of the inspirational film Chariots of Fire were all on offer alongside the included camping. 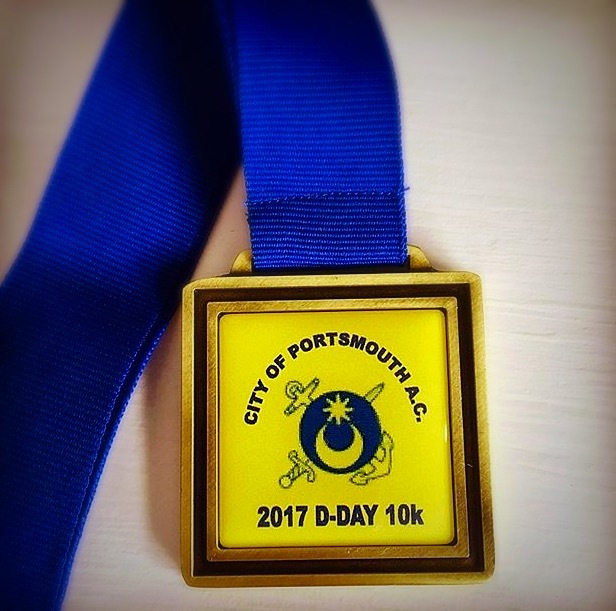 So to kick off the events was the 5 and 10k races. Both courses twisting and turning around the footpaths of the Freshwater countryside. 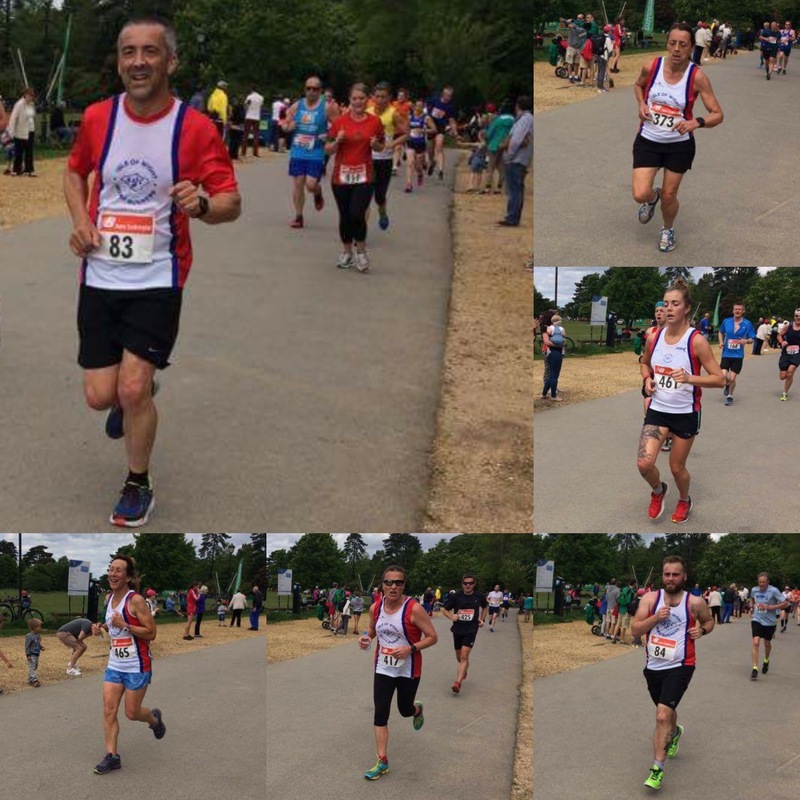 In the 5k we had brothers-in-law Dave Cass and Dave Smith flying the road runners flag. 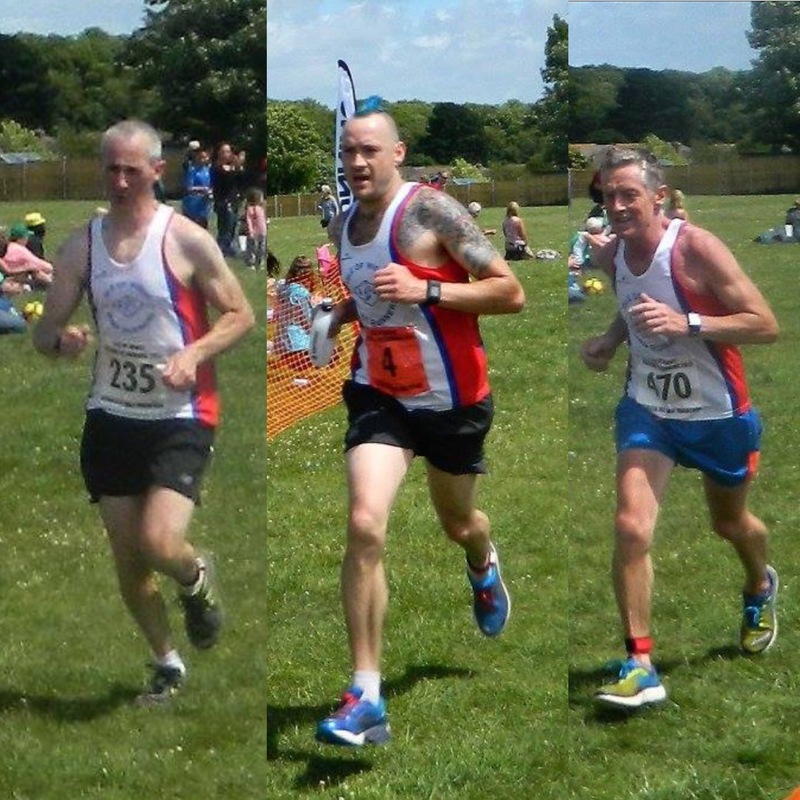 The 10k and hour later saw both Daves back on the startline, but this time accompanied by a few more fellow roadrunners. Nick Kenney was the first roadrunner across the line in 6th place and a speedy 42.46 giving him 2nd place in his age category. 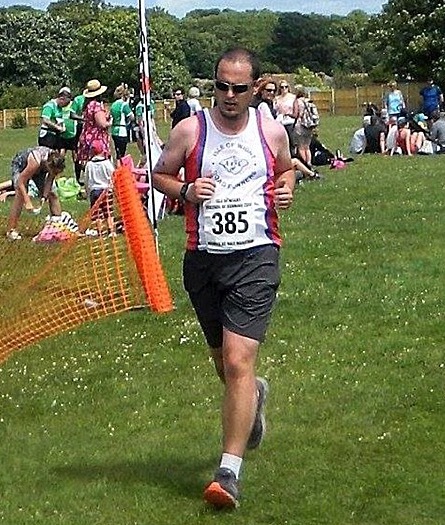 This was his last competitive outing before his Island Games quest at the end of this month. 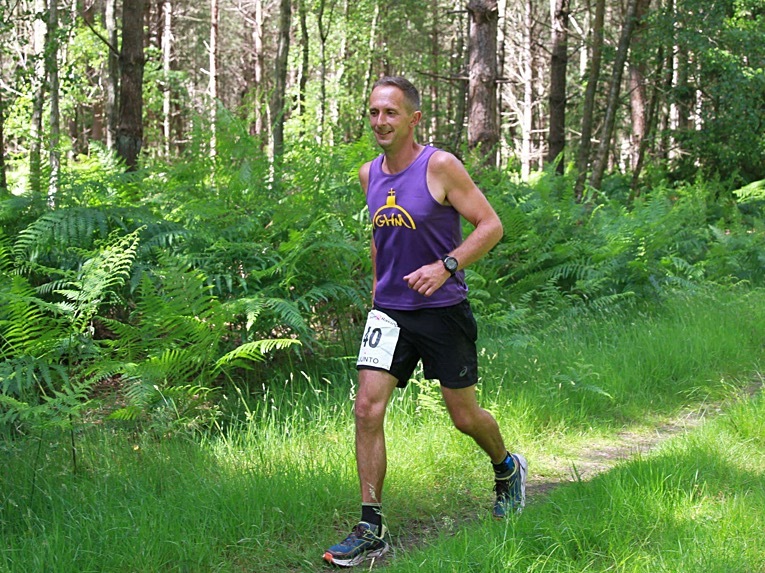 Dan Williams was the next in to claim the top spot in his age catagory, followed by Cass who secured 2nd place V50. 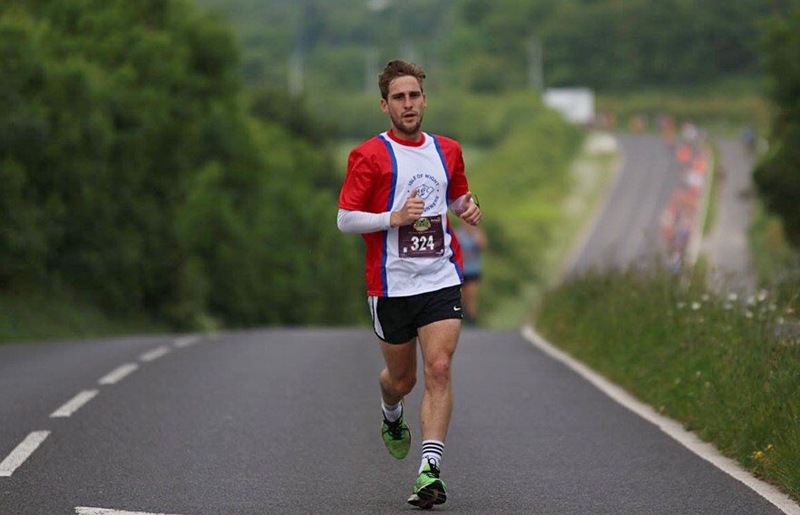 Harry Vernon was the next white, blue and red vest to make it home in a cracking 50.37 and 3rd in the V50. Next in were all the girls. Sara Truckel is storming back to form and crossed the line as 2nd place lady with Katie MacKenzie not too far behind her in 3rd and Kelly Forster closely following in 4th. 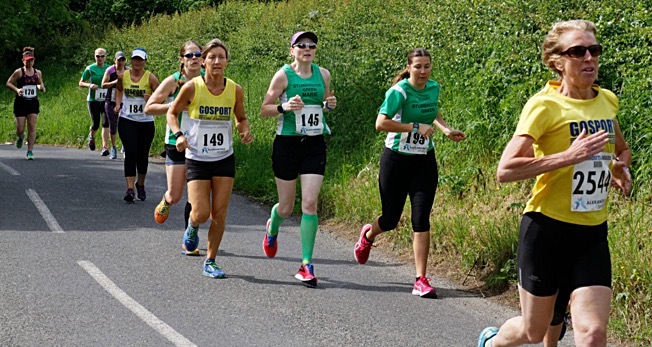 Margaret Niland Murphy closed the bidding for the ladies team coming over the line in a nifty 9th place with Dave Smith coming in in 57.33 to complete the team. Only one roadrunner made the journey to Cosham on this sunny Sunday morning. Our legendary “little Sue” Hunter made her racing come back after a lengthy shoulder injury. This sold out race is fast and flat. 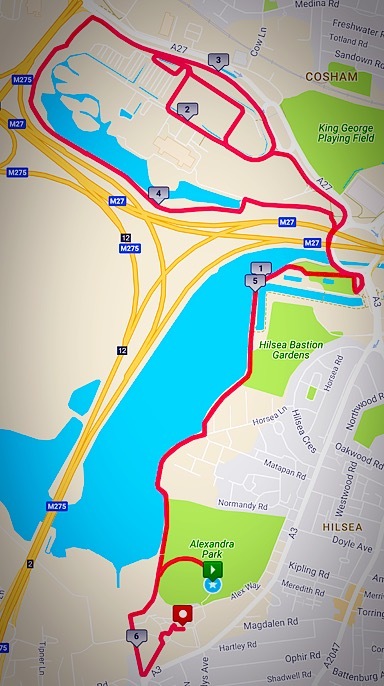 The mostly traffic free course is a bit of a corkscrew as it winds around itself as from Hilsea and toward Port Solent and then back along the riverside to the Lakeside North Harbour Complex. 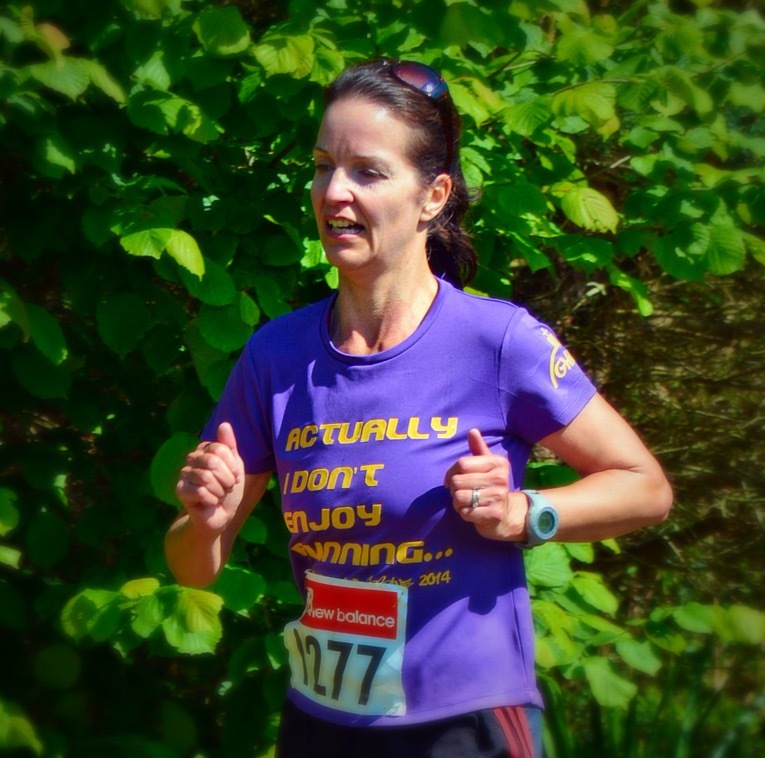 Sue ran really well despite having so much time off injured and came home in a triumphant 1.05.07 placing her 4th in her V50 catagory. Great to see you back Sue! Rolling hills, roman roads, roman walls, Maumbry Rings and a neolithic henge. Castles, country piles, manor drives and chocolate box cottages. Poets, authors, martyrs and legends. Tolpuddle, Briantspuddle, Affpuddle, flipping gurt puddles. Piddle,(a River), Piddle, (the beer), fiddles, diddles, dancing, laughing, do-si-do, and stripping the willow. 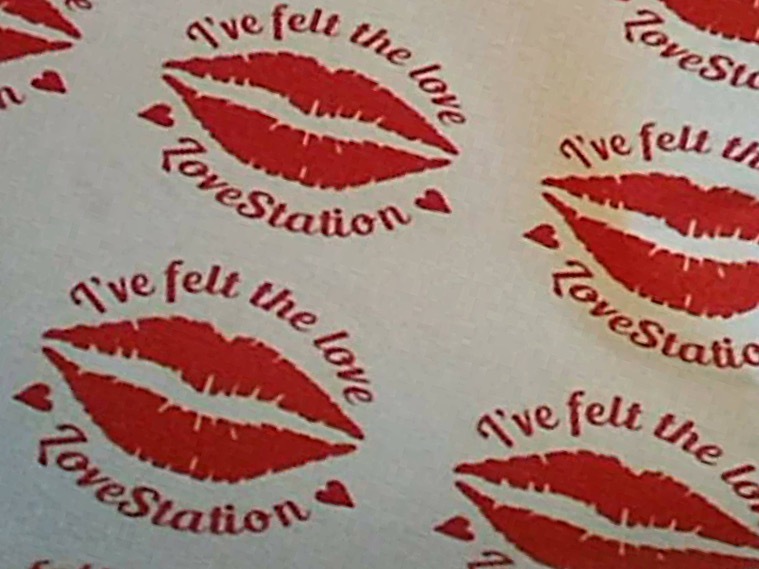 Lovestation, sweeties, cider, kisses, wet cuddles, lipstick, dipsticks, cheers and tears. 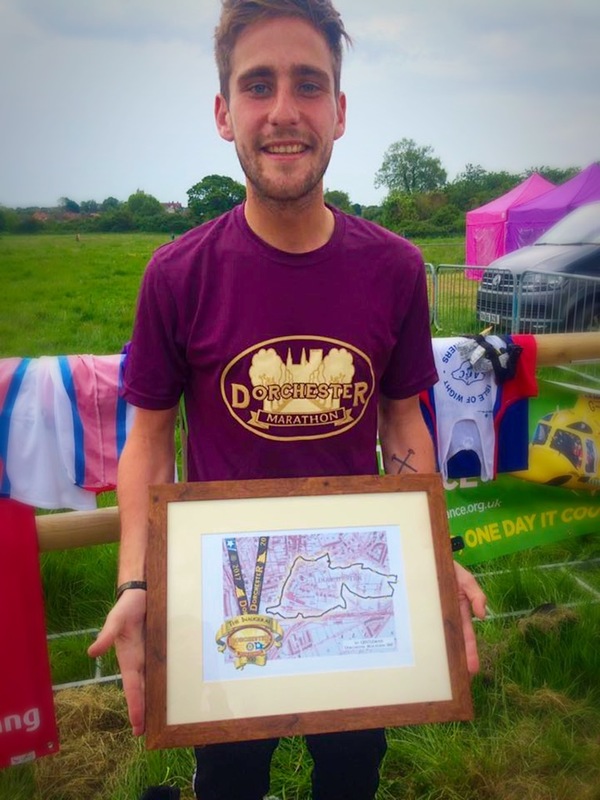 Winners, dinners, camping and damping. 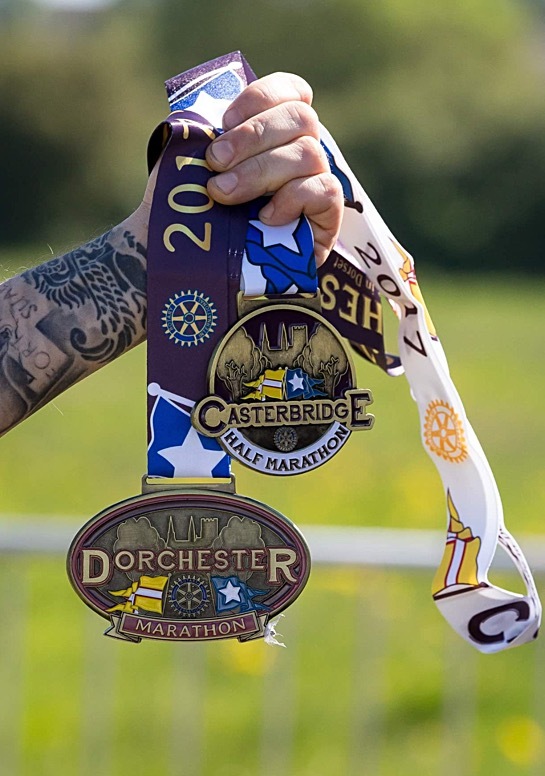 Welcome to White Star Running’s inaugural Dorchester Marathon and Casterbridge Half. 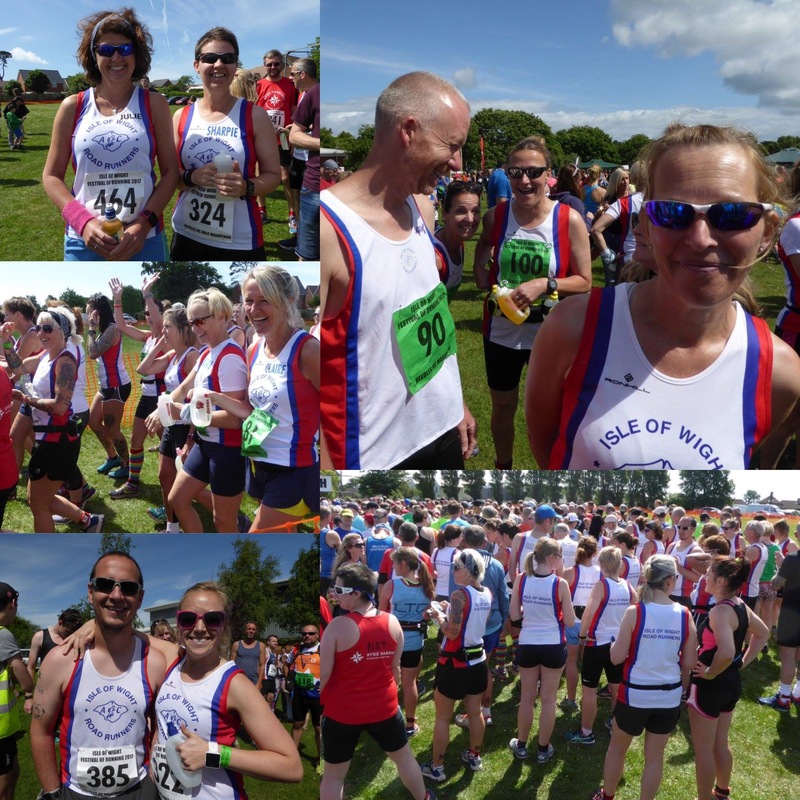 1400 runners made the trip down west to road test this brand new event. 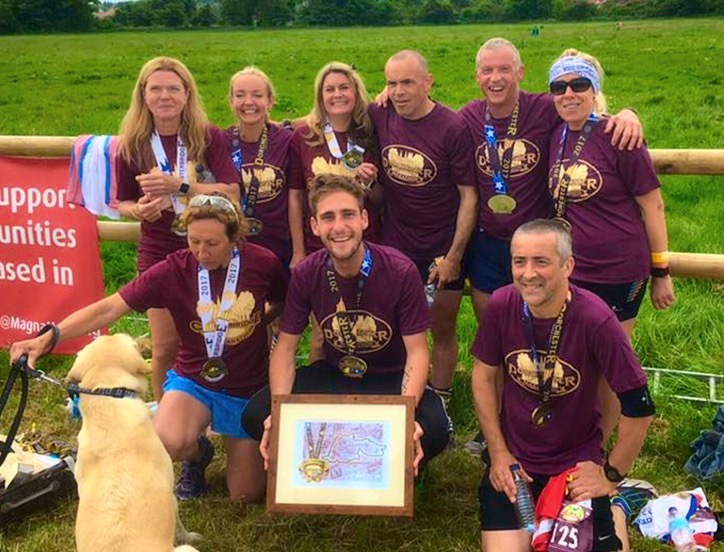 Known for their superbly organised races, White Star are the kings of off road trail events. But this was on tarmac.. TARMAC!! No wonder 13 of our little Roadrunners were curious enough to sign up and embrace the experience. And what an experience it was. Seamless from start to finish. Andy Palmer’s attention to detail was evident everywhere. 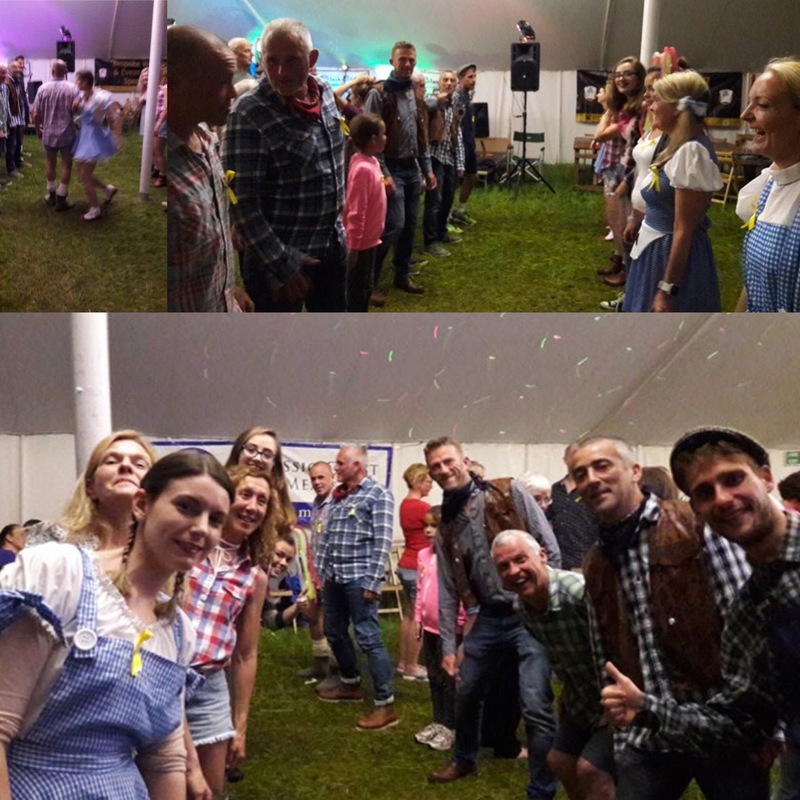 “There’s a barn dance!” Exclaimed our excited runners, seemingly more interested in the after party than anything else! Relieved after the recent warm spell to wake upto an overcast sky, the 9 marathoners were bright eyed and bushy tailed (well… most of them were! Naming no names!) for the early 8.30 start. 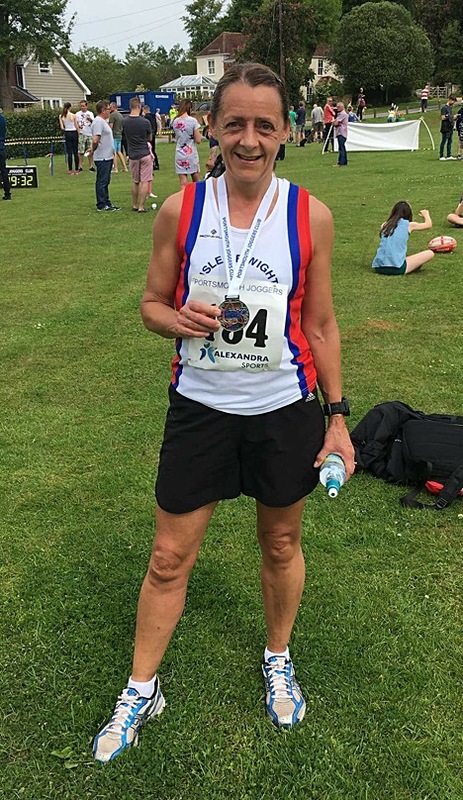 Nerves were jangling on the startline, none more so than for Lisa Upstell who was running her first marathon. but it wasn’t long before they were on the move, along with 700 others having been given the off from the Towncryer. 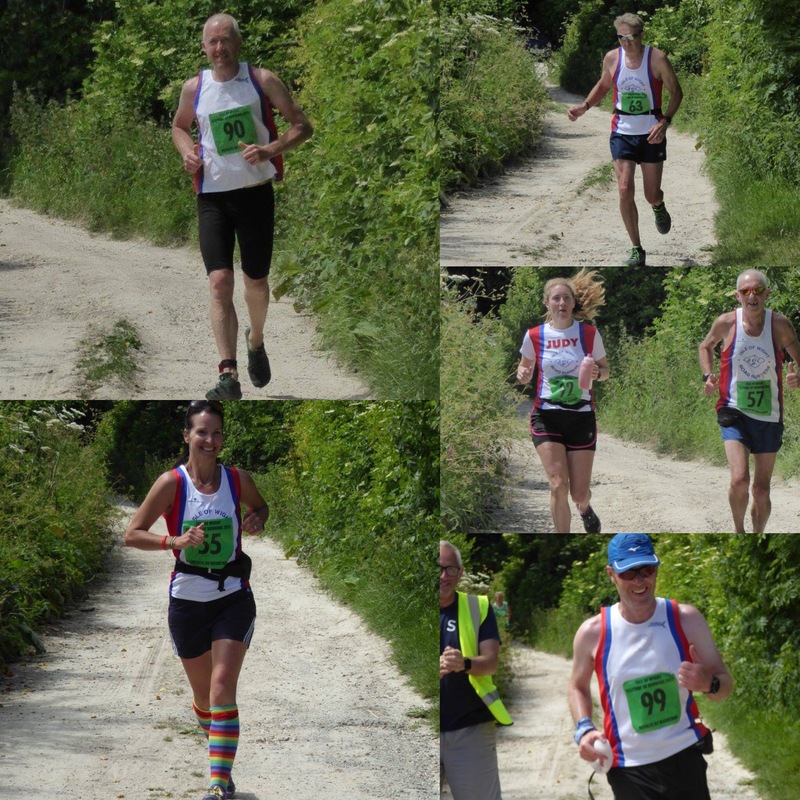 White Star Running is also famous for it’s love of hills. Not slopes, not graceful increases in gradient, Hills. 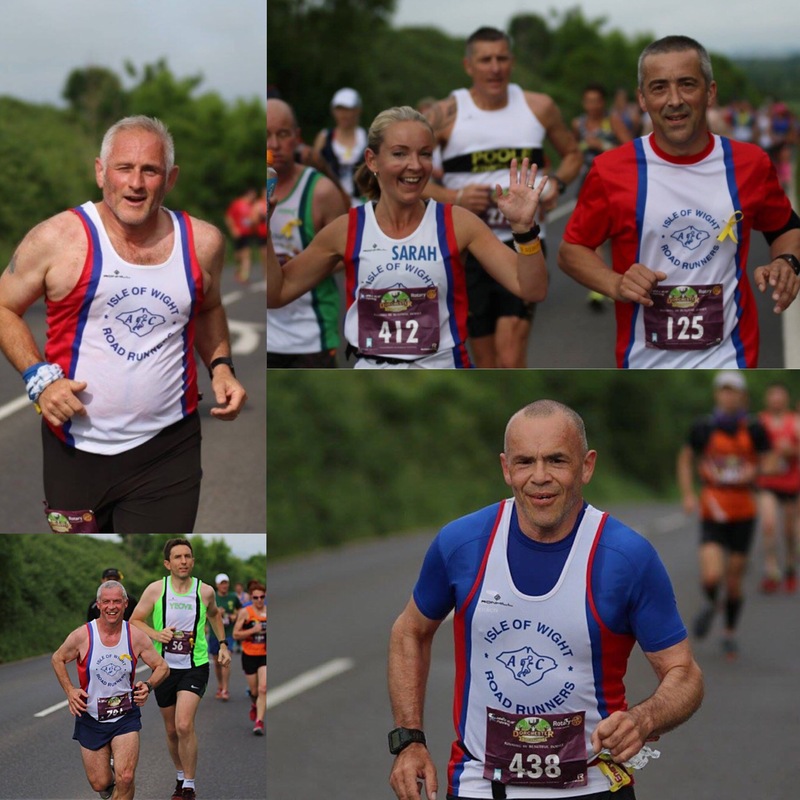 And it wasn’t long before our 9 marathoners were making their way up their first one, before they even reached mile 1 to be more precise, as they made their way through the historic town centre before they began their journeys into the lush green countryside and toward West Stafford and Tincleton. 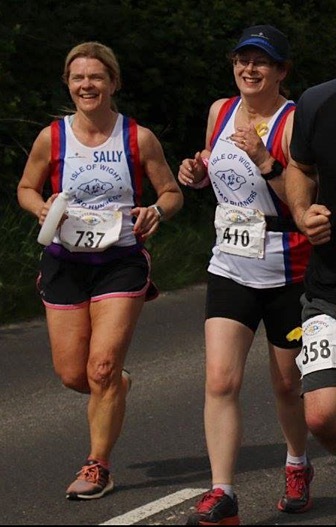 Meanwhile our awesome foursome of Julie Salter, Bridget Keyte, Sally Trotman and Zoe Elliott were lining up on a slightly different startline for the Casterbridge Half Marathon. Again set off by the towncryer, they embarked on a slightly different route, cutting through Puddletown Forest. Picturesque cottages were a plenty, along with pockets of locals sitting on drives and front lawns in their camping chairs. Clapping and cheering and offering varying goodies to the intrepid runners. Welcoming they certainly were, seemingly making a day of it as the sun started to peek through the clouds and the temperatures rose. Onward the marathoners went through the leafy shade of Oakerswood, but the undulation wasn’t letting up. For every down there was another up, coupled with the increasing humidity, the runners began to flag. 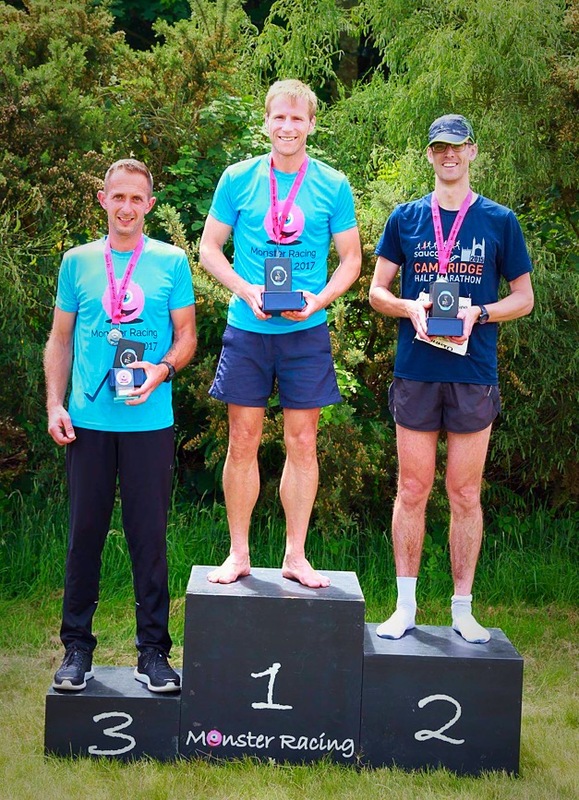 “The elevation was far greater than was stated on the course profile” said hill virtuoso Michael Coultrup “it was more the constant undulation that got to you rather than the usual big dippers that White Star normally dish up” And he would know, he’s completed most of their other events. 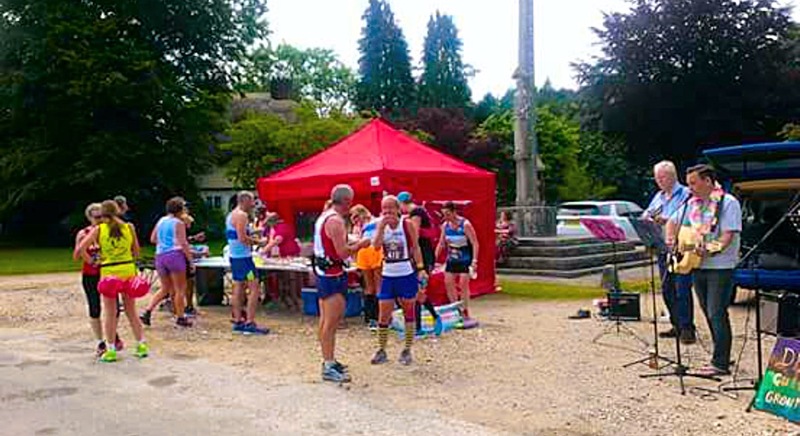 A welcome surprise at the 15 mile mark in village of Briantspuddle was a plethora of jelly sweets, cakes, fresh oranges and a live band. 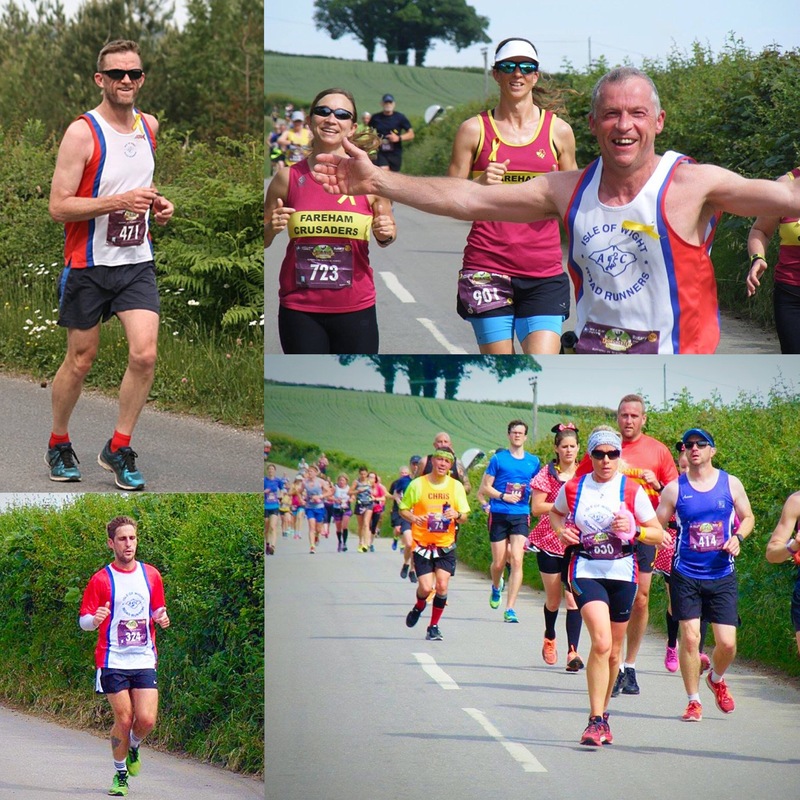 Onward they went, up and down, up and down, past the 15th century Manor at Athlehampton, past the famous Tolpuddle Martyr Museum and on to Mile 20 (mile 7 for the half) and the famous White Star Lovestation. Located in a real barn, complete with hay bales, a bevy of lovelies were there giving out hugs, kisses and stickers. Ice cold sponges and CIDER!! 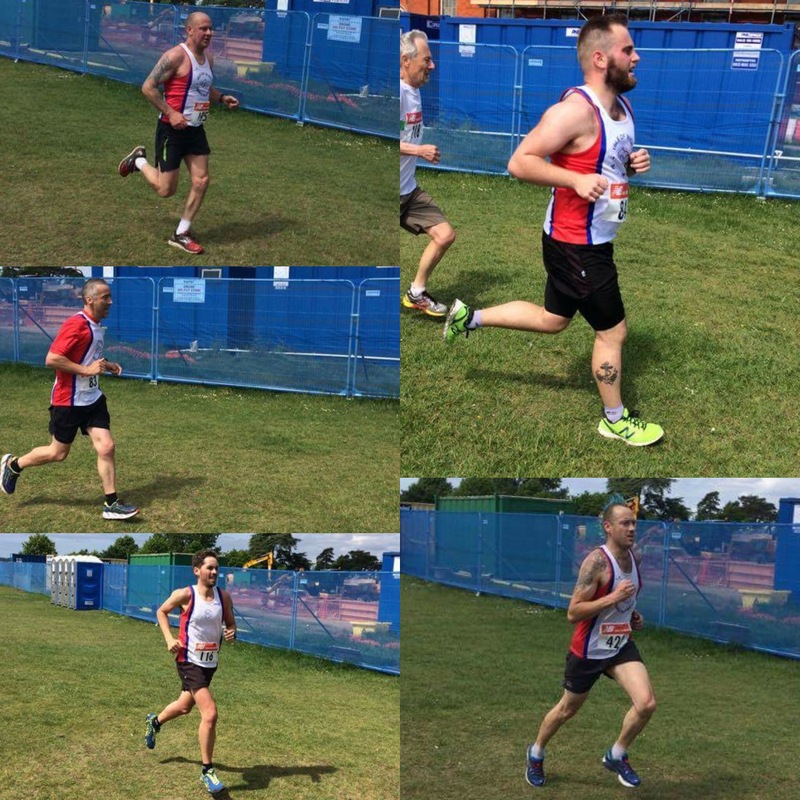 It was fair to say that our Half runners were in a more fit state to indulge themselves here, than the marathoners, but still a big mental marker for all of them as it signifies that there is only 10k left to run. At this point the courses converge and the run the rest of the route together. Up and down the most challenging part of the course. The Half girls negotiated their way along the last 6 miles of more ups than downs to all cross the line smiling together in just shy of 2 and half hours. Yes that’s right … our Bill only went and won the damn thing!!! What a superb run from him! Next across the line was Michael Coultrup in 3.31.13. Next, in quick succession were Tim Keyte, Paul Butcher and Kev Rann. 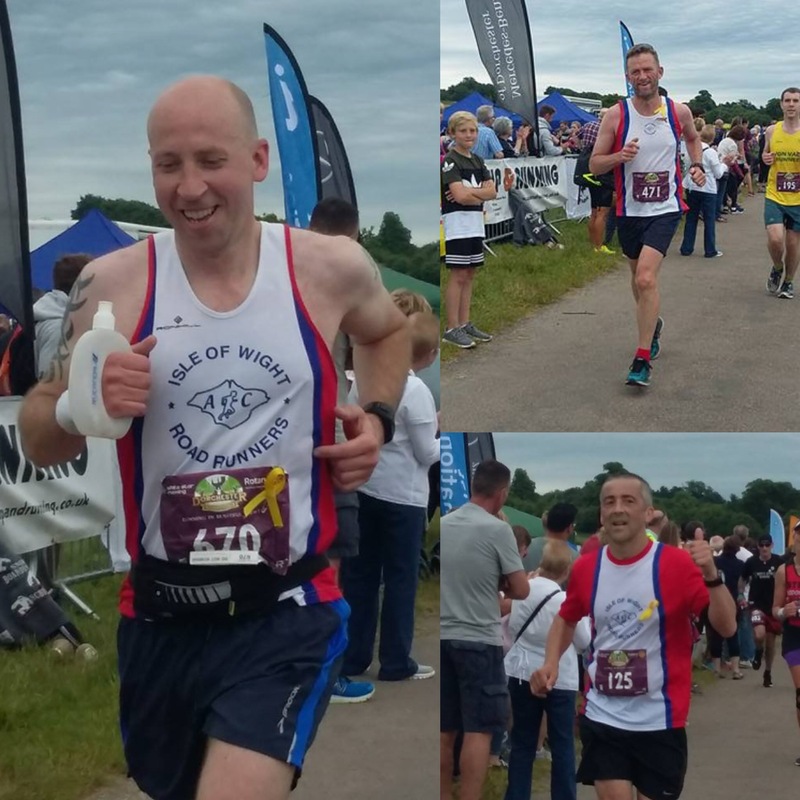 Paul ran a superb race taking a whopping 26 minutes off his previous best time and on that course that is no mean feat. 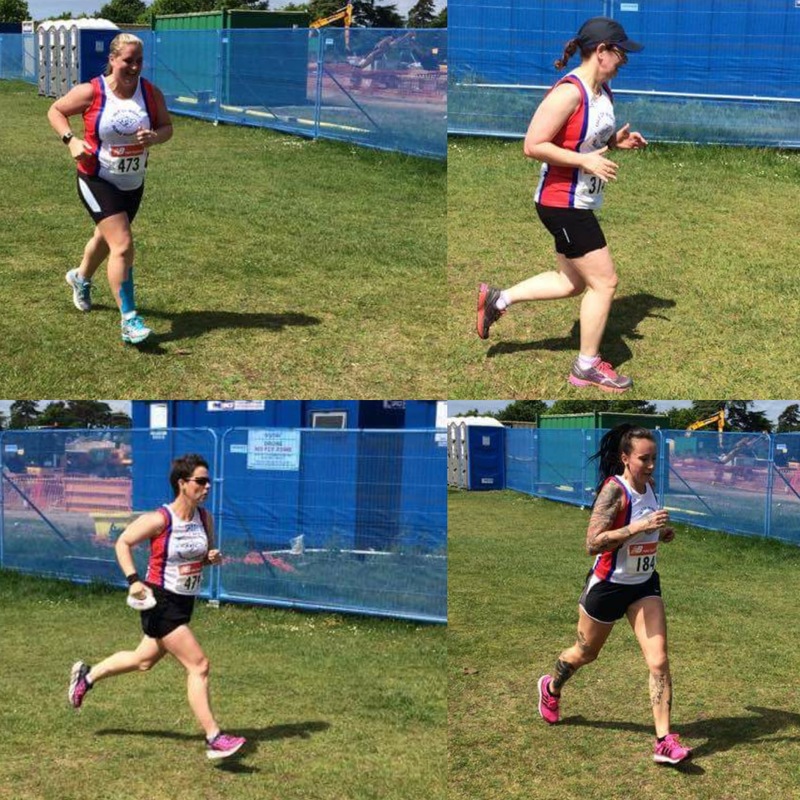 The girls were next in crossing the line triumphantly together in 4.26.52. That’s part of the marathon journey, that you are in it together. That every one of you is striding for the same goal. It’s an emotional rollercoaster every time, heightened by a million percent when it’s your first. The power of friendship is so important when the going gets tough. Memories and bonds are made. Next in was Keith Ruth, getting cheered in by the rest of the crew as he powered in for a sprint finish. Then bringing the IWRR team back to completion was our chairman Pat Harris. And with that they all scurried off to get changed for what they considered the main event….. The Barn Dance. 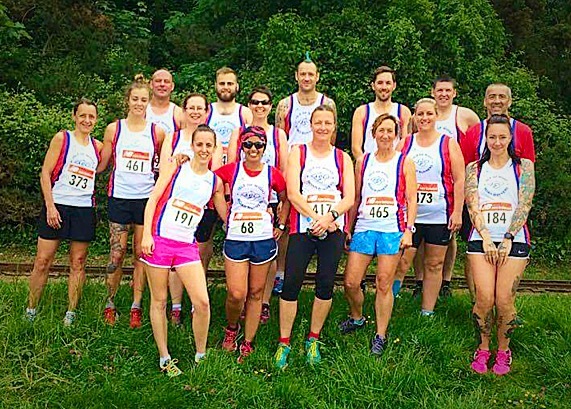 Now there is only one thing that us roadrunners take more seriously than our running and that’s our fancy dress. It’s fair to say, had there been a prize for fancy dress, we would’ve rocked it! A prize for dancing… not so much!! 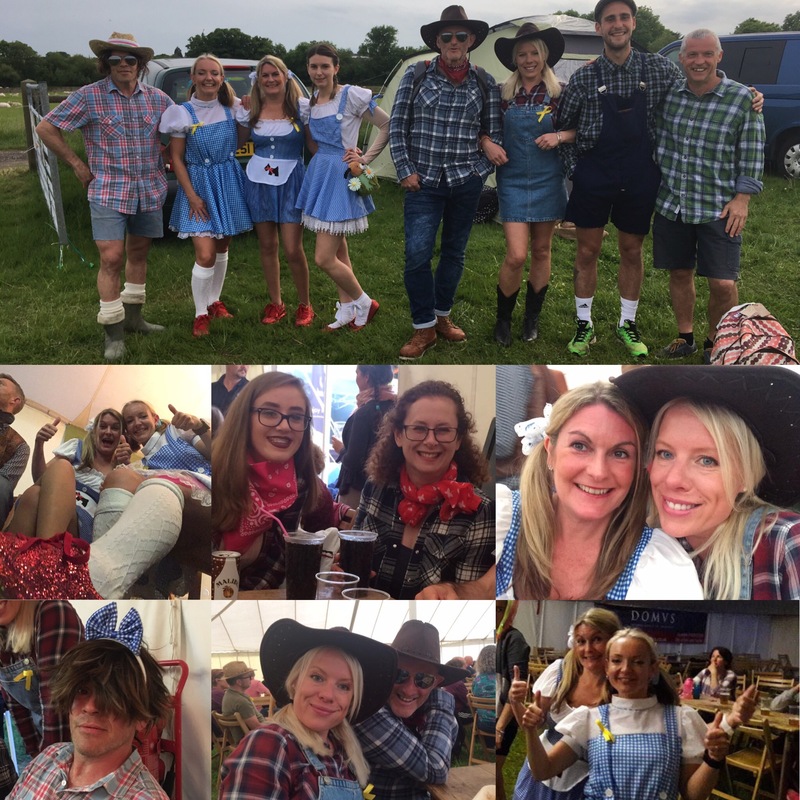 Fantastic weekend was had by all. We’ll be back next year without a doubt. Unexpected cloud cover greeted this female only 5 miler located just 3 miles north of Portsmouth. Despite the small and friendly feel, this race attracts some high class runners from around the South. 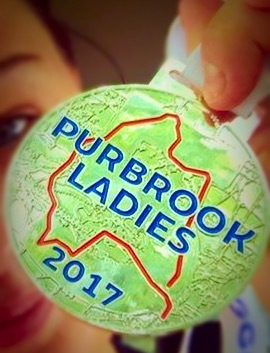 Starting and finishing at the Purbeck Health Pavillion, the runners wound themselves around the surrounding quiet country lanes. This single lap course is undulating but that proved no obstacle for our newly re-signed Sharon McNally. Absent from the IWRR for a couple of years, Sharon is back! And back with avenegence she is too! She stormed around the course, attacking any elevation that stood in her way to come across the line in a fantastic 6th place and a super speedy time of 36.28. 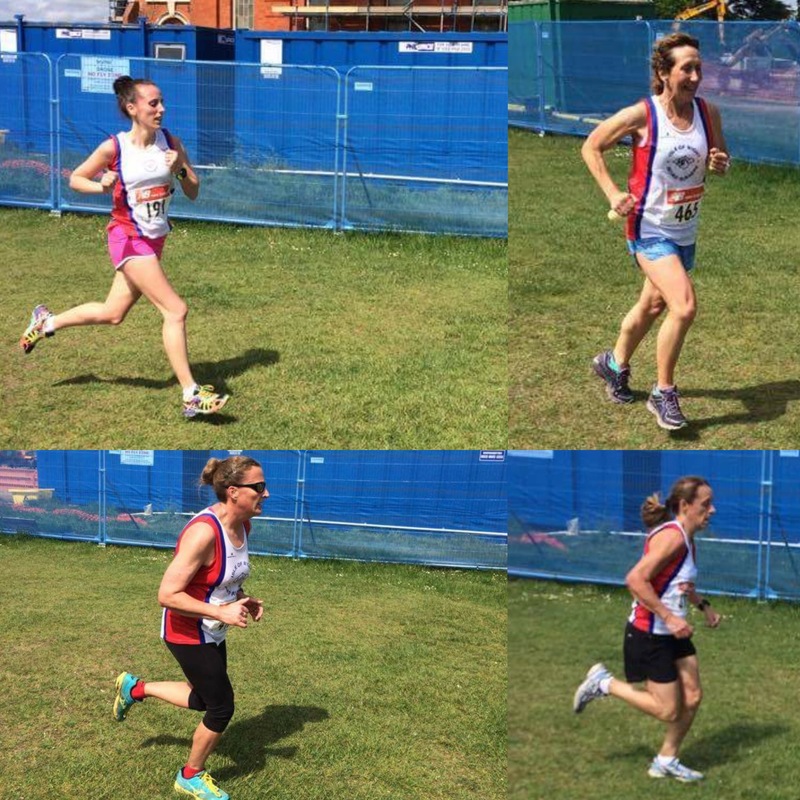 The beautiful city of Wells in Somerset was the setting for a series of short distance races on Sunday. 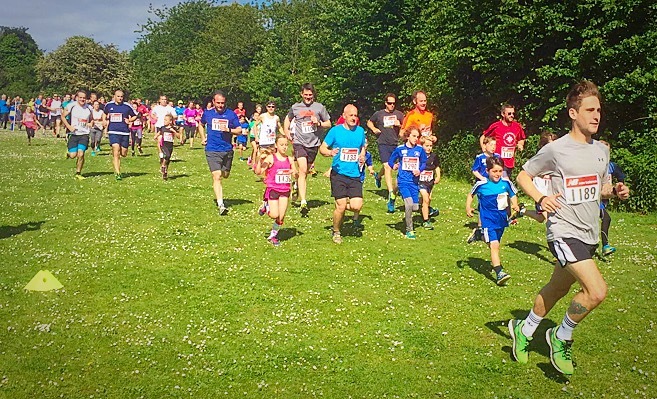 With 4 distances to choose from, the event appealed to all ages. A 1.2k, a 3k, a 5k and finally a 10k were all on offer. Speedster Rosie Sexton chose the 10k distance to test her speed. 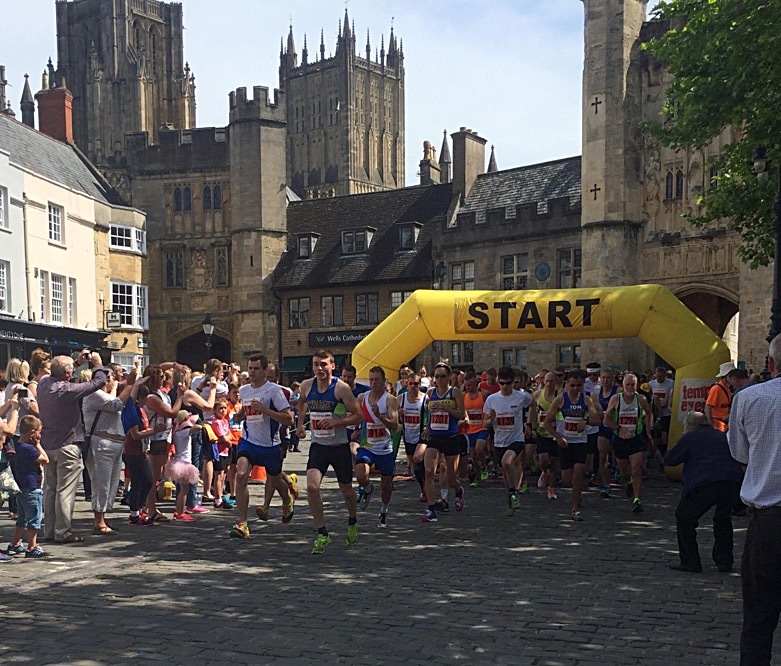 Starting in front of Wells Cathedral, the 2 lap course clearly suited our youngster as she stormed through the field to come home a magnificent 3rd lady,(46th overall), in 43.49. She was also top of the tree in her age catagory. 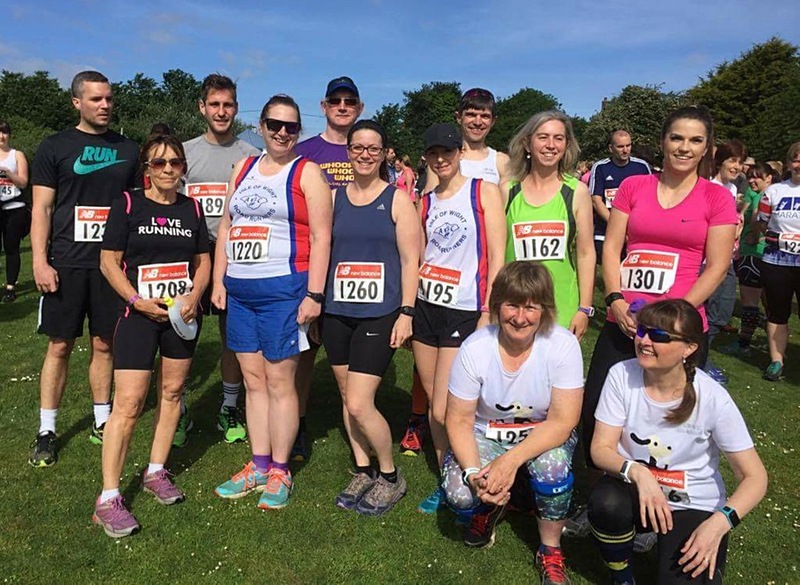 Runners were asked to wear a yellow ribbon as a mark of respect along with an emotional round of applause for the emergency services and a minutes silence at the startline. 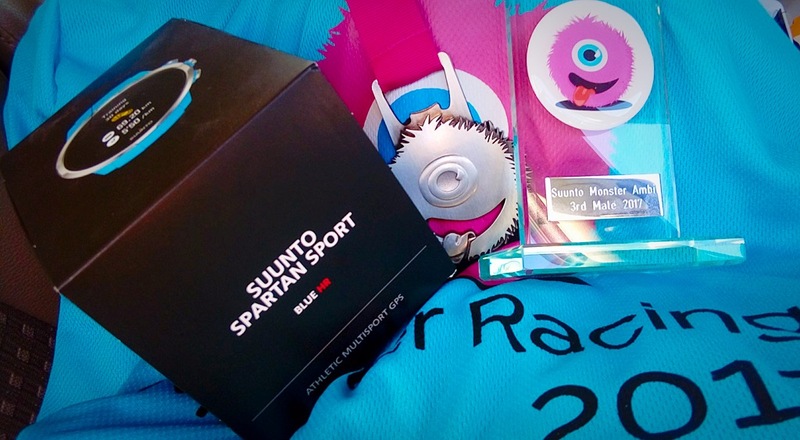 The Half Marathon is a brand new race. 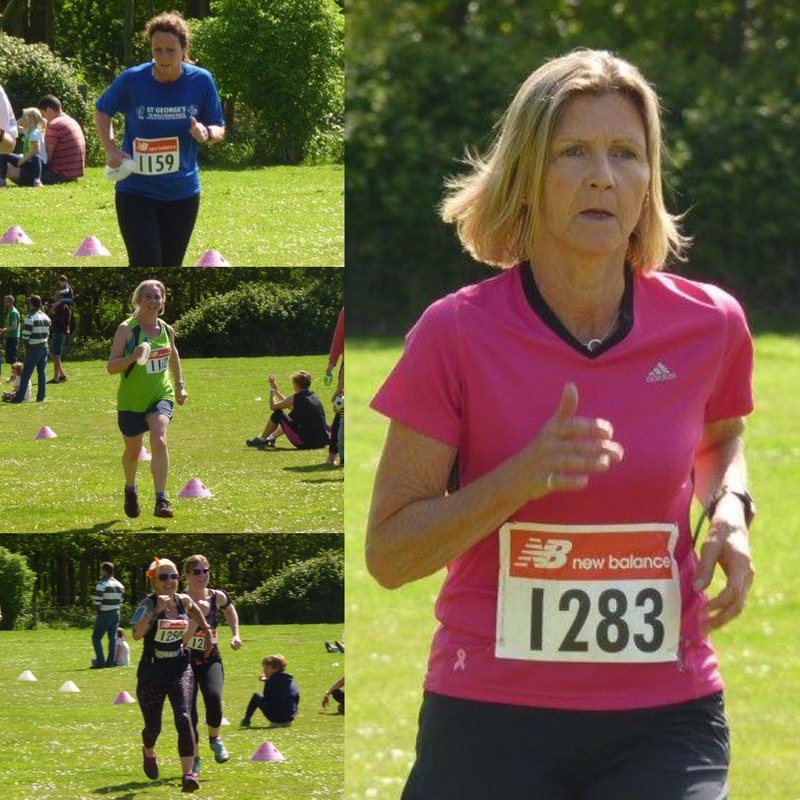 Another addition to the hugely successful Great Run series, this race was a sell out. 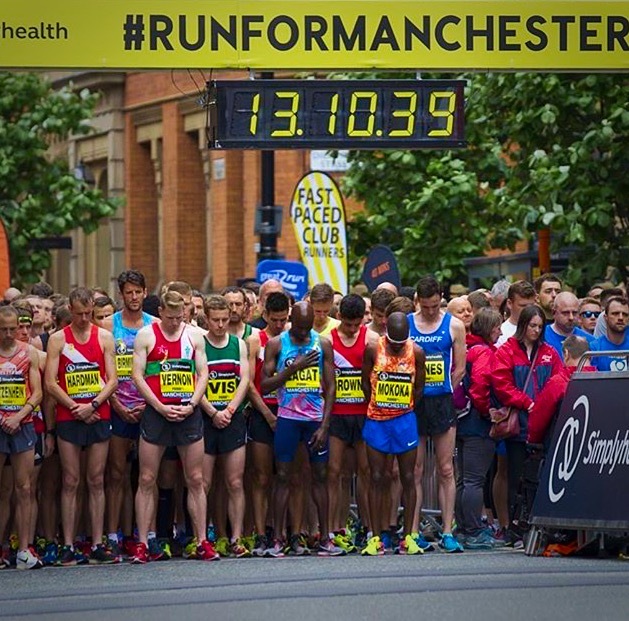 Starting on Portland Street, the course takes in some Mancunian landmarks. Both the Etihad Stadium and Old Trafford featured on the course along with The Lowry and the Imperial War Museum. 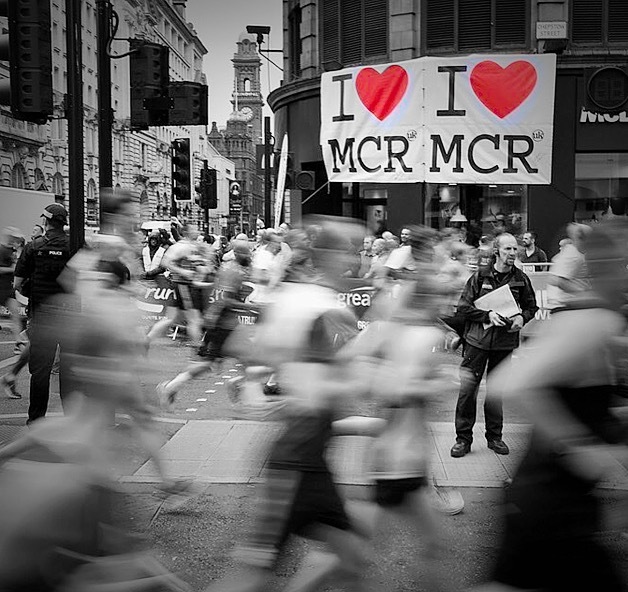 Finally runners returned into the city centre to finish at The Beetham Tower. 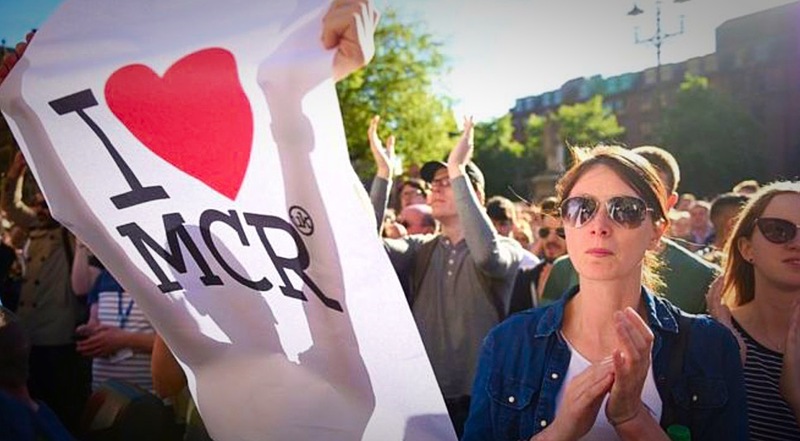 Amid the solemnity, there was also cause for celebration as runners defiantly ran for solidarity. 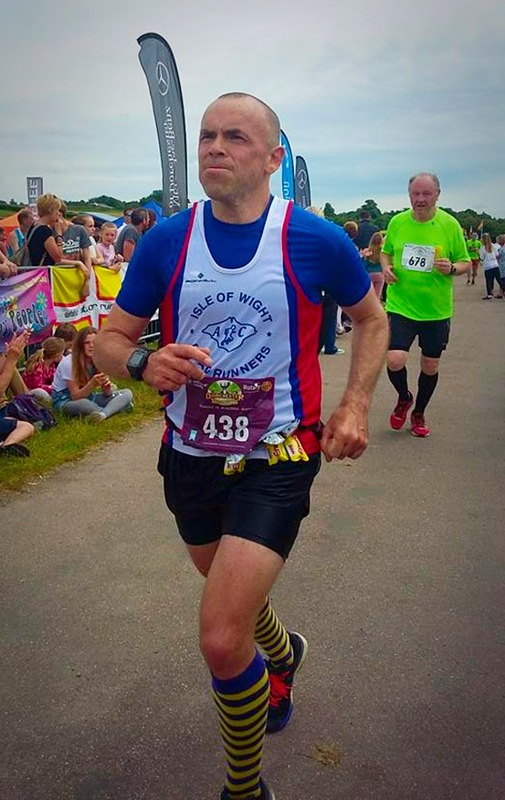 Our new comer Steve Hunt was one of those with cause to celebrate as he took a whooping 10 minutes off his previous best. 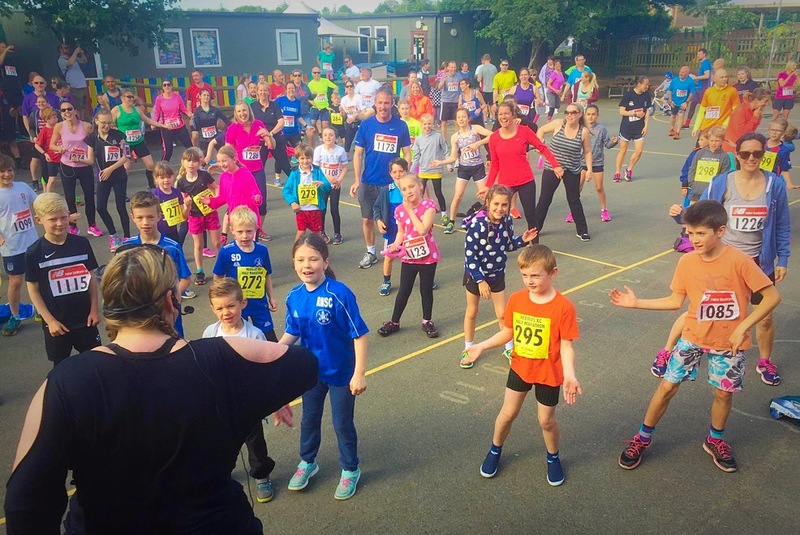 A bright and sunny morning greeted runners of all ages and abilities as they warmed up to compete at the Newchurch Primary School’s fun run. 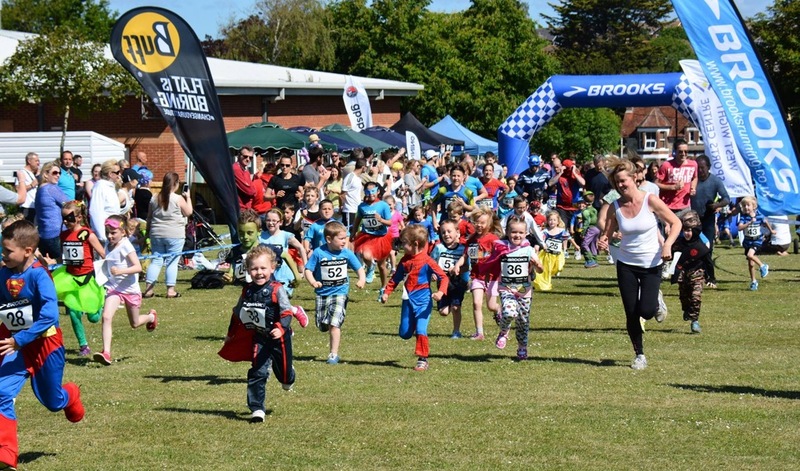 Parents and grandparents, children and grandchildren, all lined up to help raise money for a new school minibus. The brainchild of the schools PE teacher Adam Tuck, the event is designed to be accessible to all. 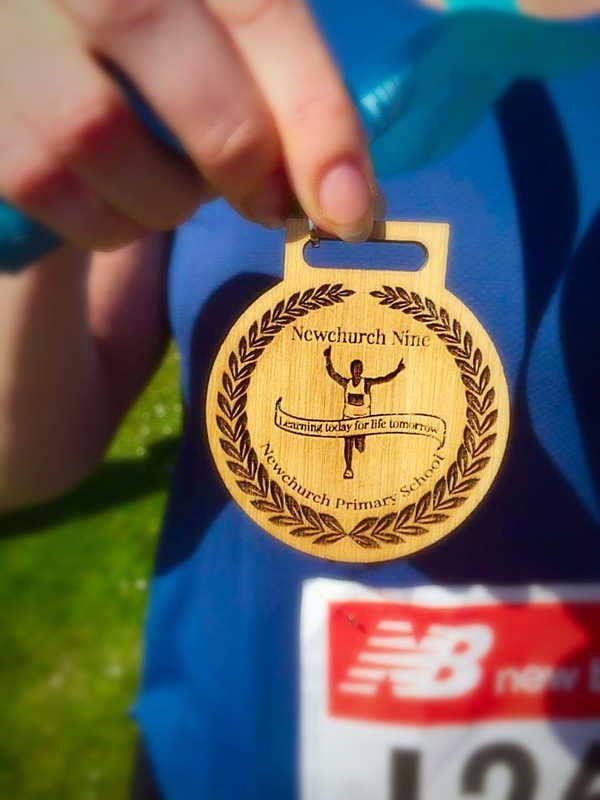 Entrants could choose either 9k, 4.5k or 900m in distance to earn their bespoke bamboo bling at the finishline. 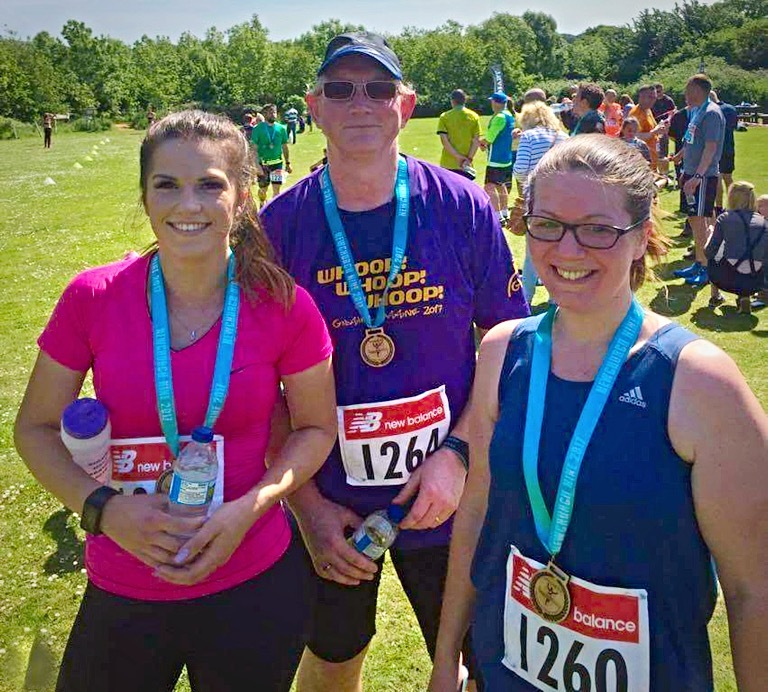 Plenty of roadrunners gave up their Sunday mornings to support the event, and were duly rewarded. Bill Goozee dashed the undulating course to secure the pole position out front with Simon Randall coming in 2nd. 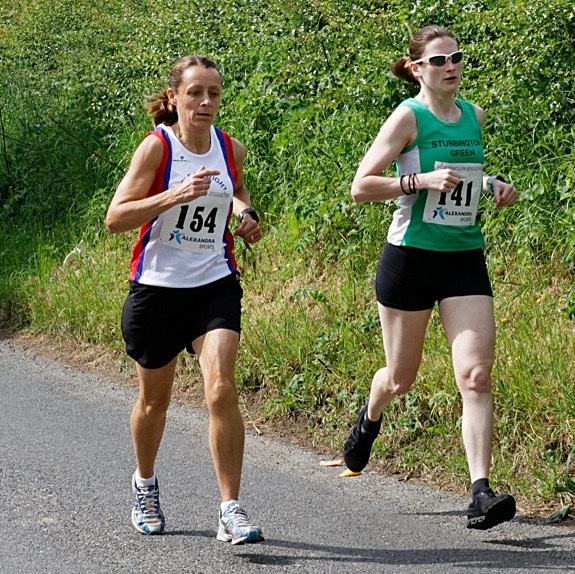 Hayley Baxter continued her recent return to form coming in first lady across the line in the longest distance. 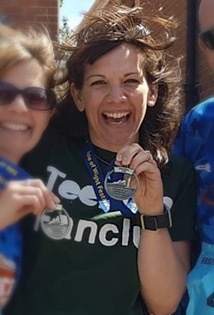 Charlotte Williams was the first lady home in the 4.5km race. Sounds like it was great fun all round. 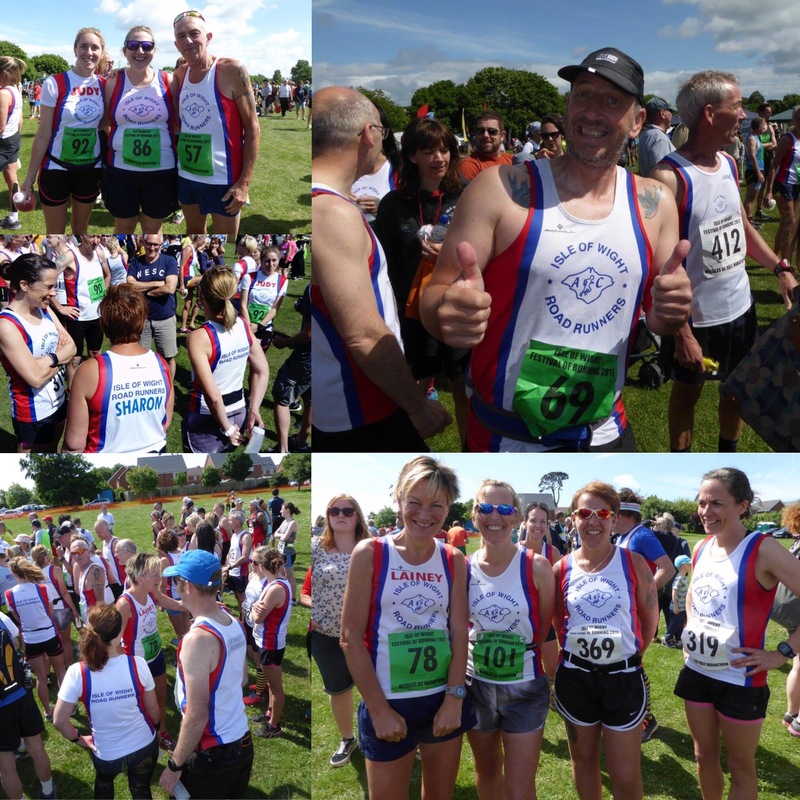 Well done gang for supporting another local event and another local cause. The penultimate HRRL race of the season took place just across the water in Southampton on what turned out to be a surprisingly warm morning. 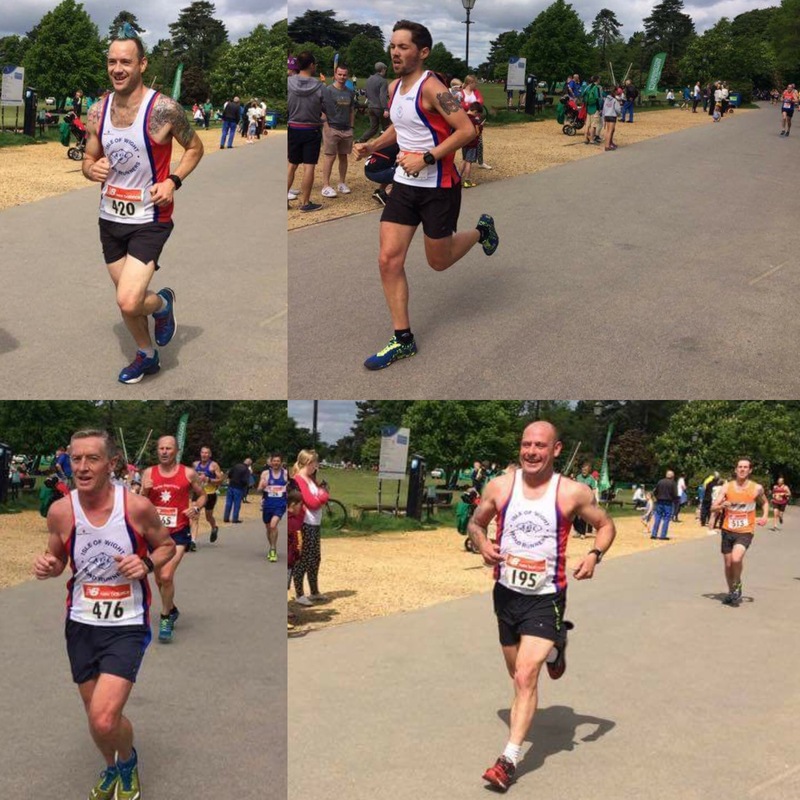 The Royal Victoria Country Park was the venue for Southampton Athletic Clubs 10k race. 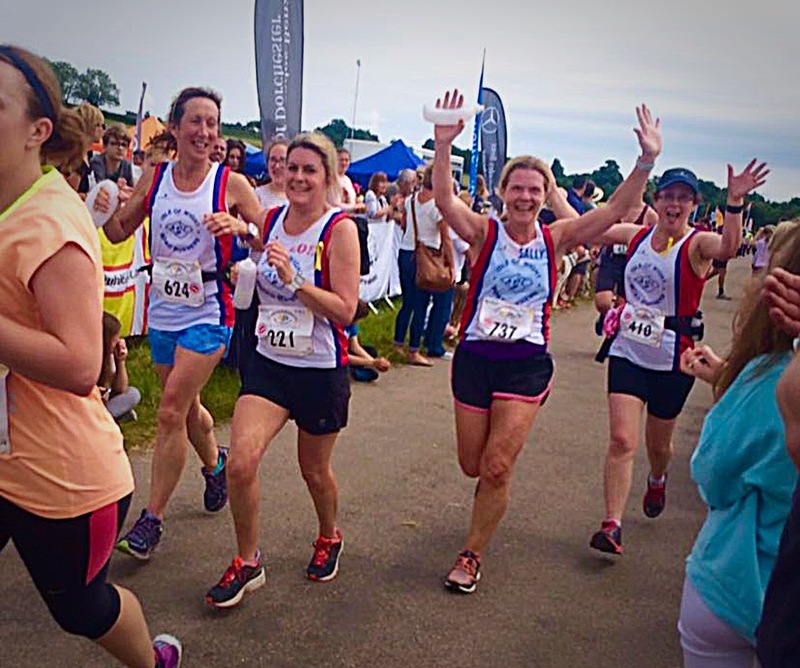 Adjoining Netley Police College and close to the Hamble River, this race was sold out early, as runners scramble to improve their positions in the league in the last few races. 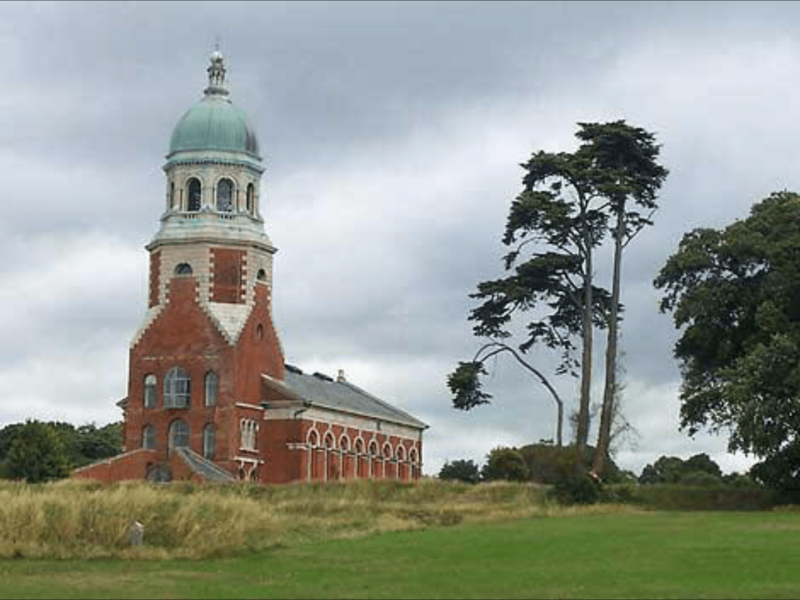 The runners blasted their way around 3 laps within the Country Park to then muster all they have left for a last 600m dash to the finish line adjacent to the historic chapel. 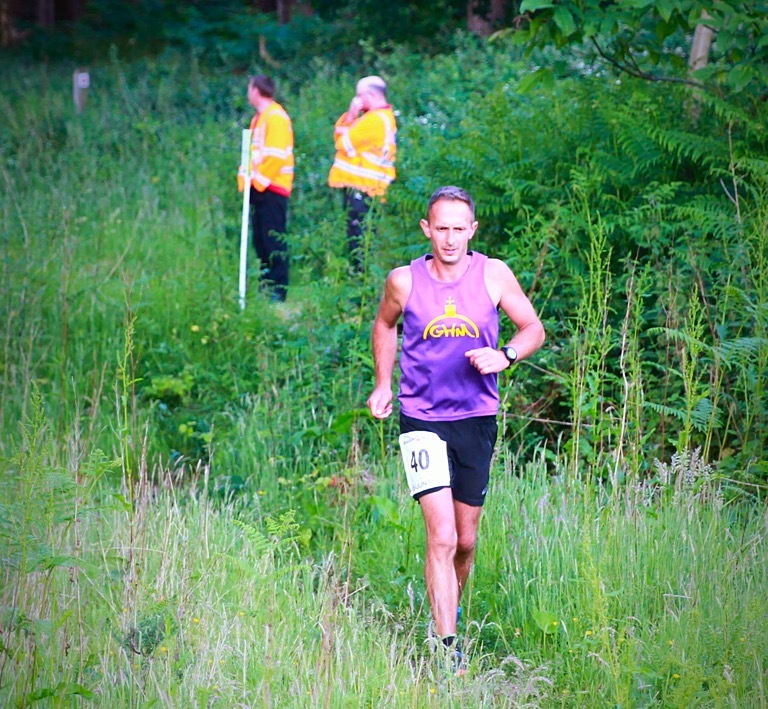 Pete Sexton was the first roadrunner to make it back across the line in an expeditious 38.56 to make him 2nd V50. Not too far behind him were Darren Cole, Dean Pike and Matt Fletcher, (in a PB), bringing the whole of the first men’s team home in just over 40 minutes. 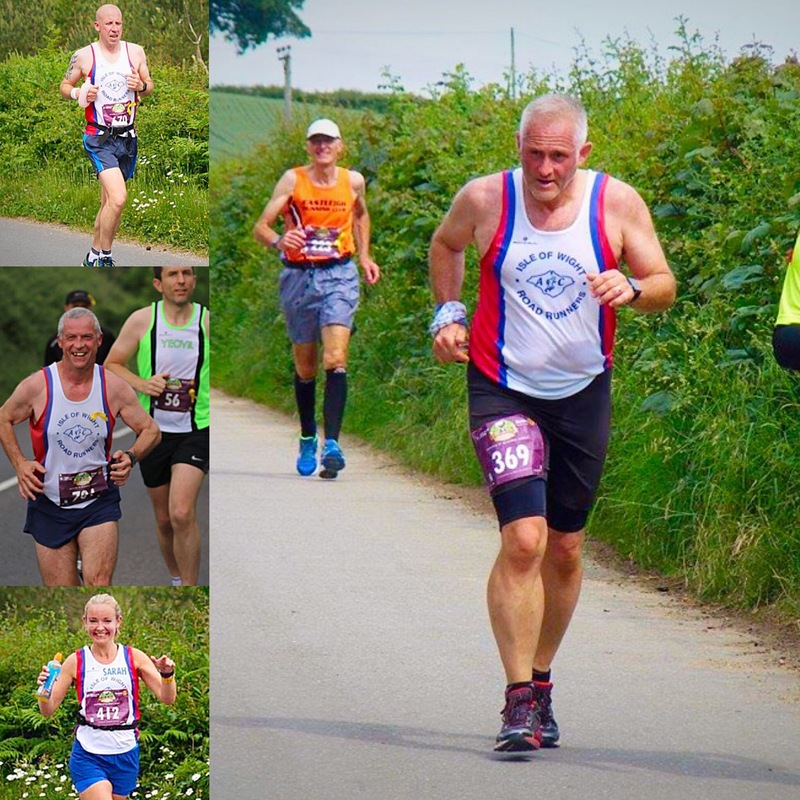 Next in was Garry Sharp, followed by the First Ladies team. Holly Newton made a cracking club debut. Not only was she the First Lady roadrunner to finish she also secured herself a PB in the process. 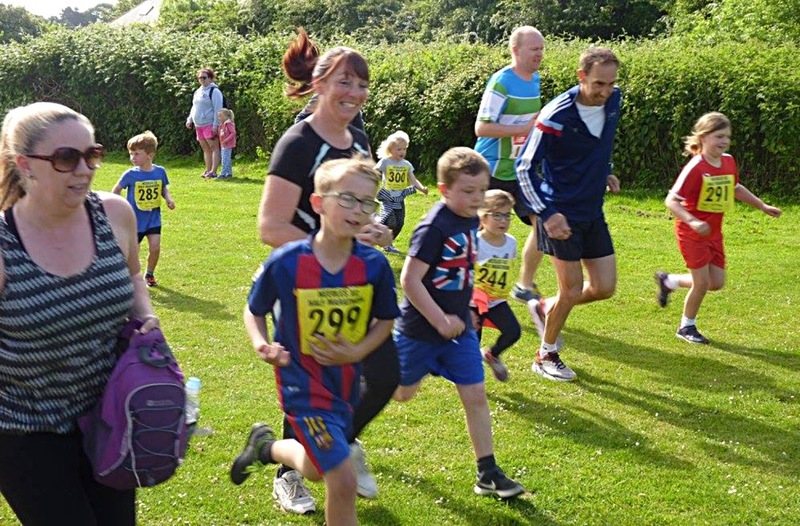 Holly was closely followed by our track queen Abigail Farwell who was in turn followed by Sharon McNally. She bagged herself the top spot in the V50 category. 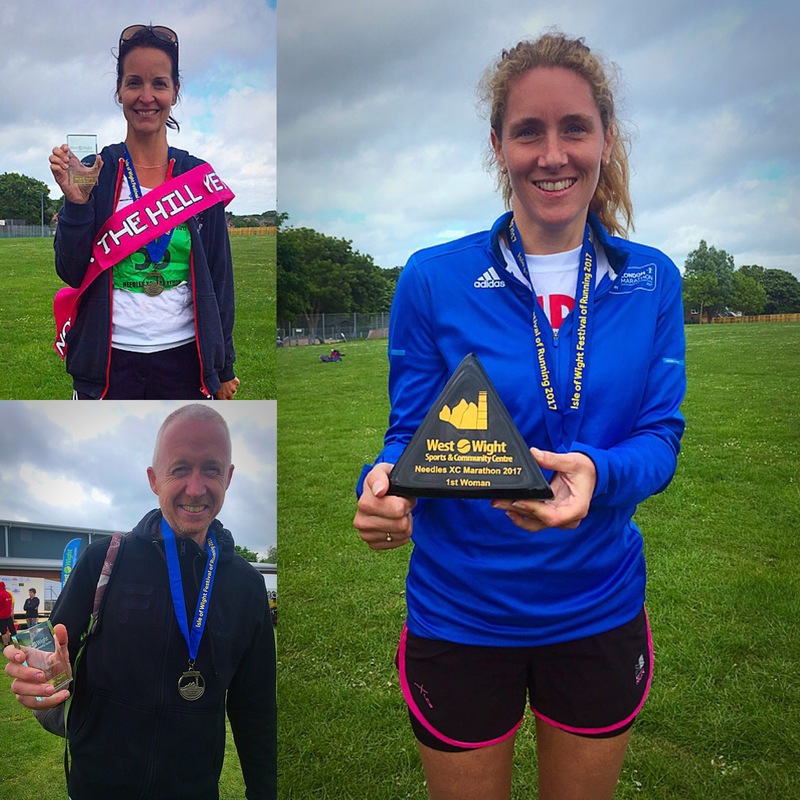 George Butler, Paul Butcher and Sarah Sharp also had a blinding races, all giving themselves shiny new personal bests over the 6.2 mile distance.